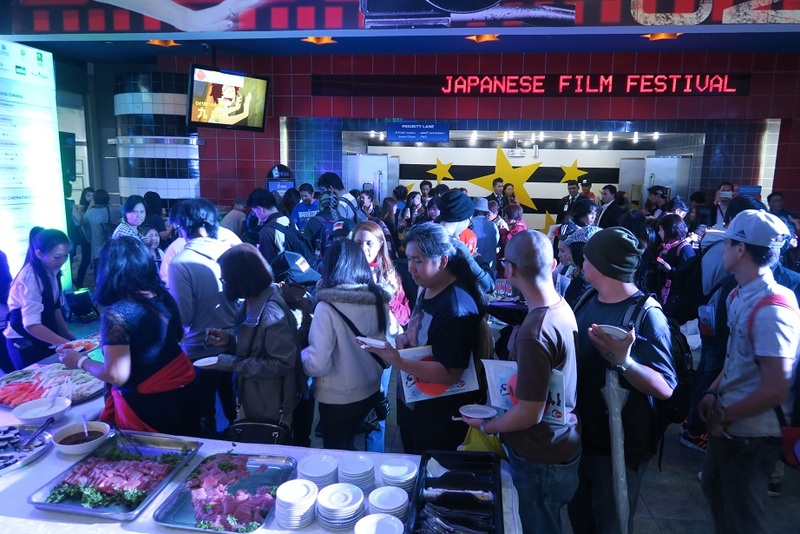 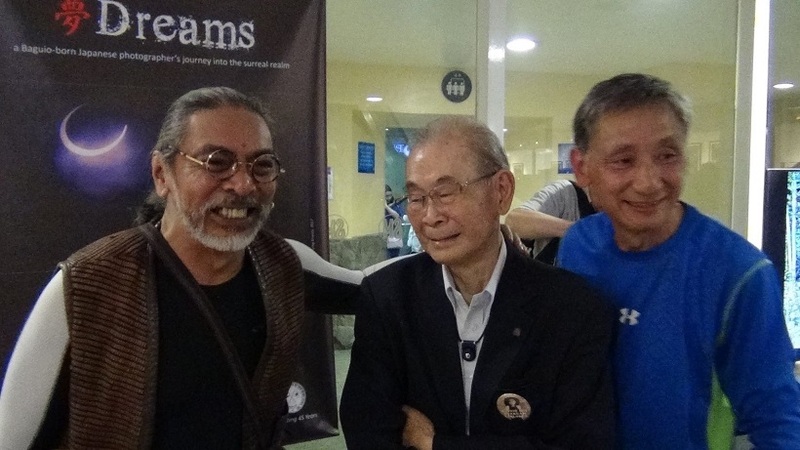 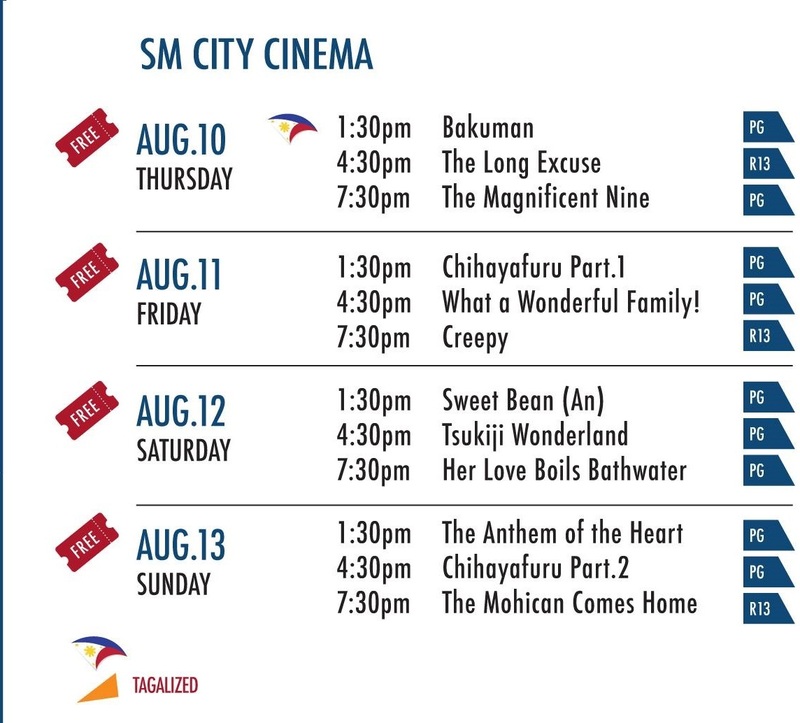 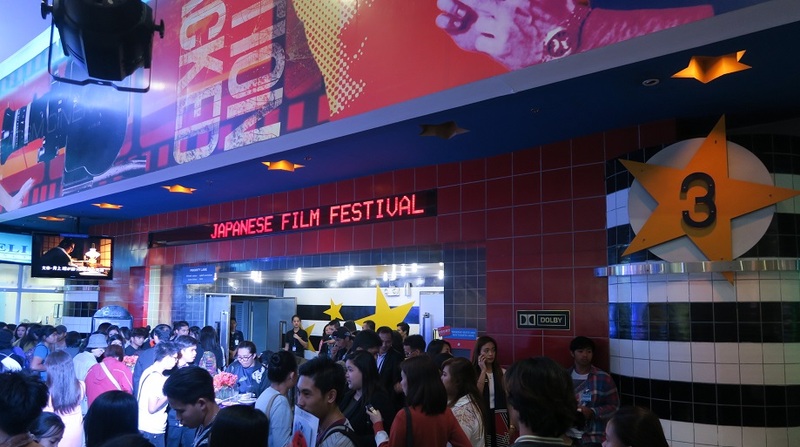 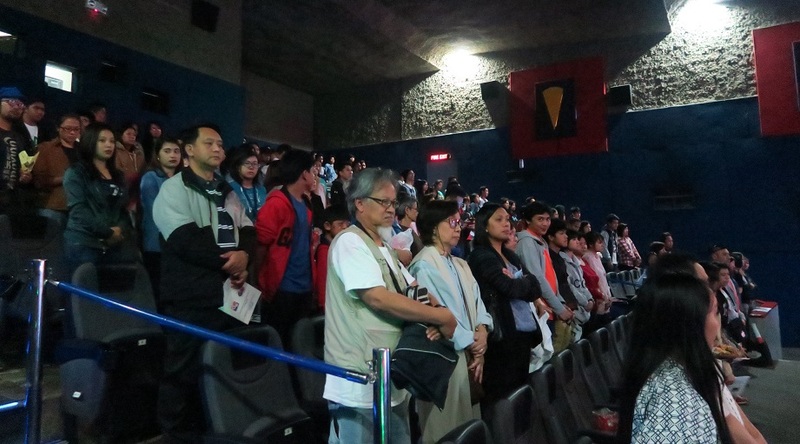 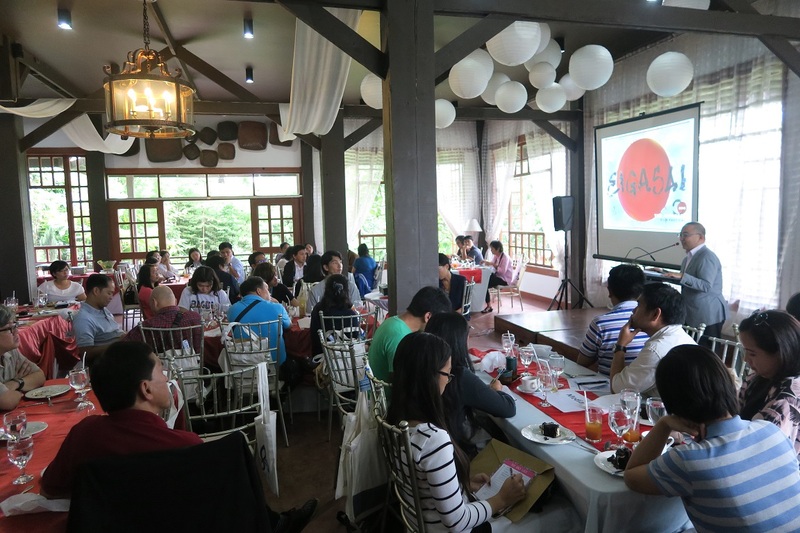 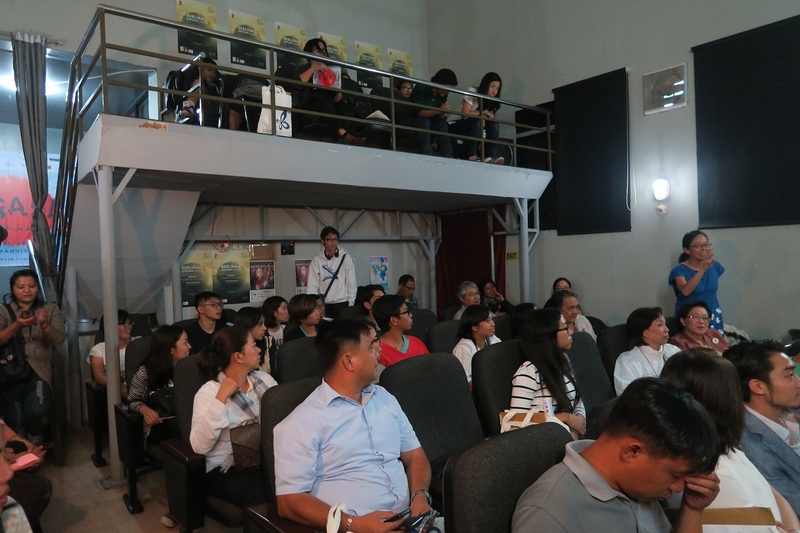 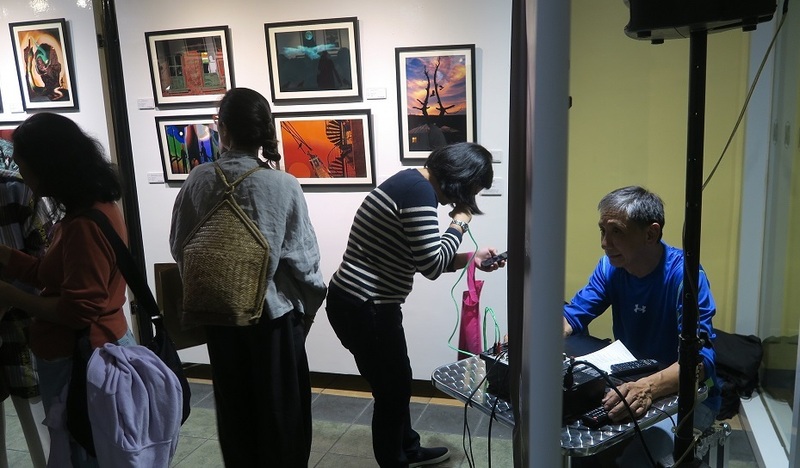 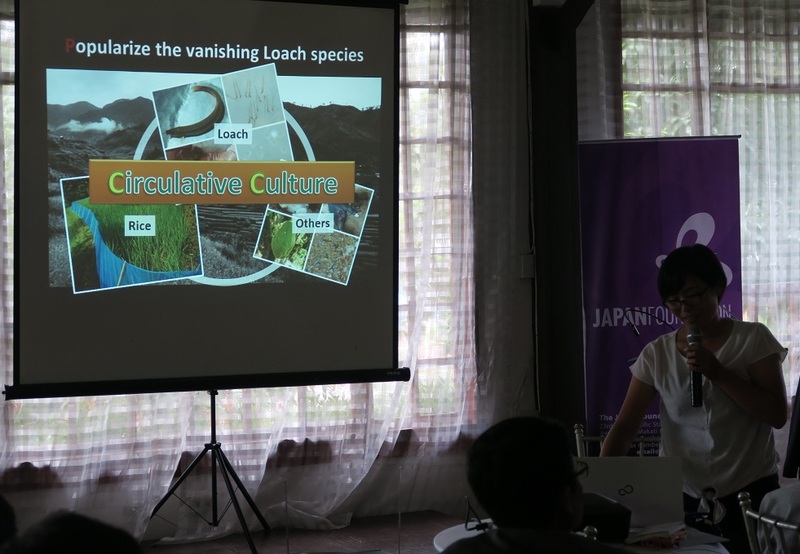 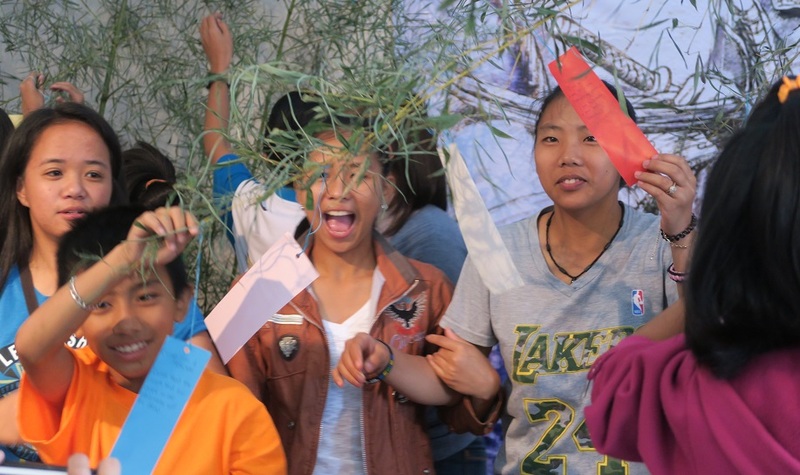 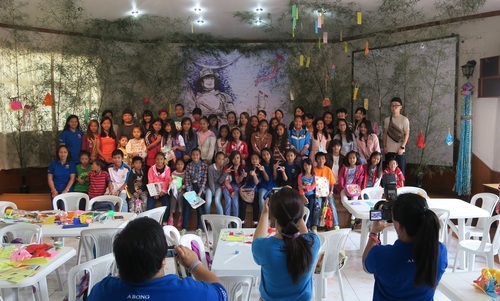 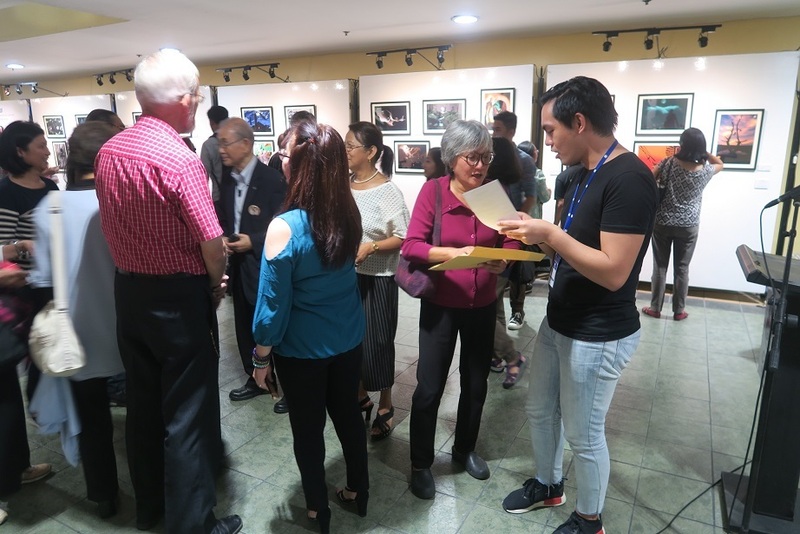 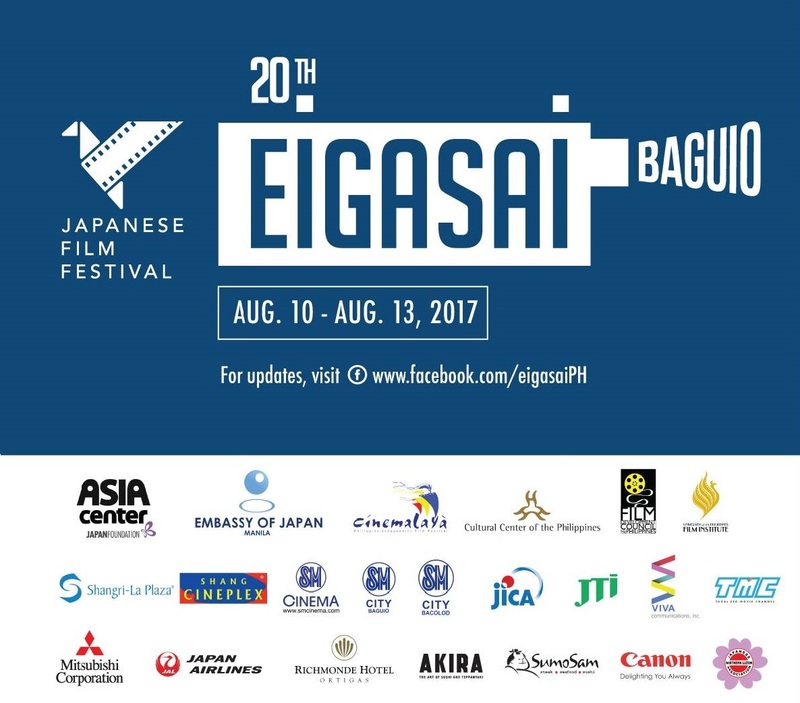 MORE movie aficionados attended the recently concluded EIGASAI 2017, a Japanese Film Festival with all seats taken per screening of the 12 featured award winning films shown from August 10 to 13 at SM City Baguio Cinema. 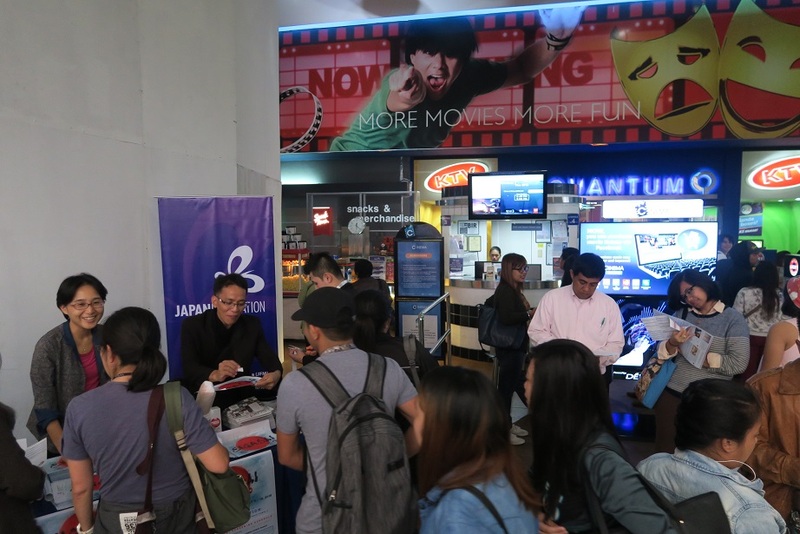 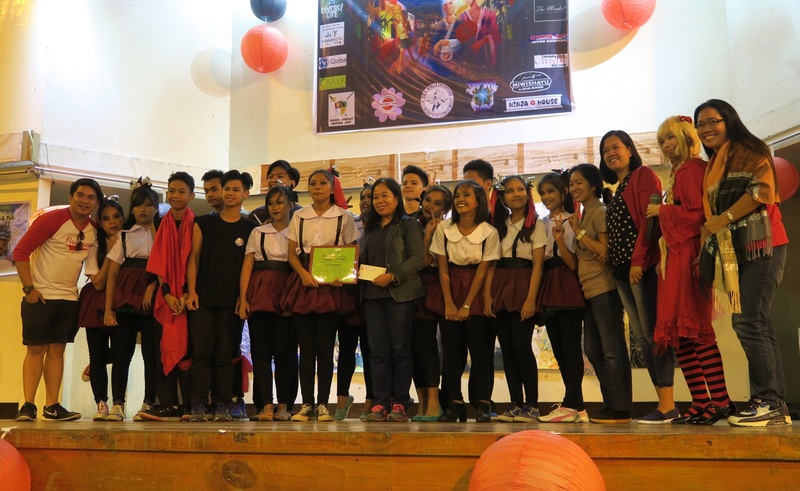 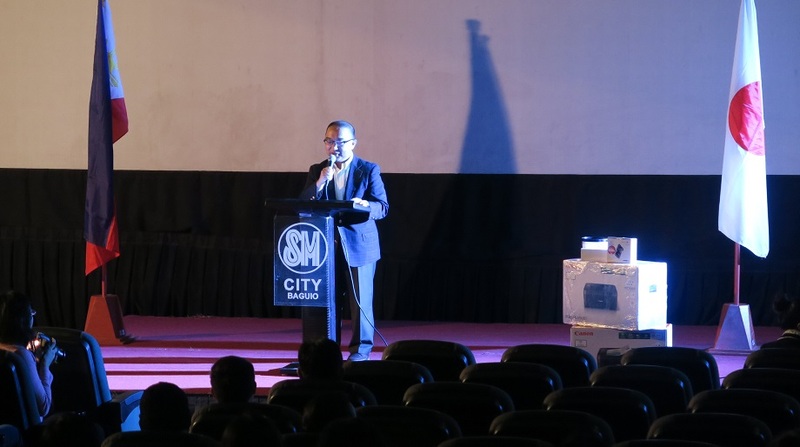 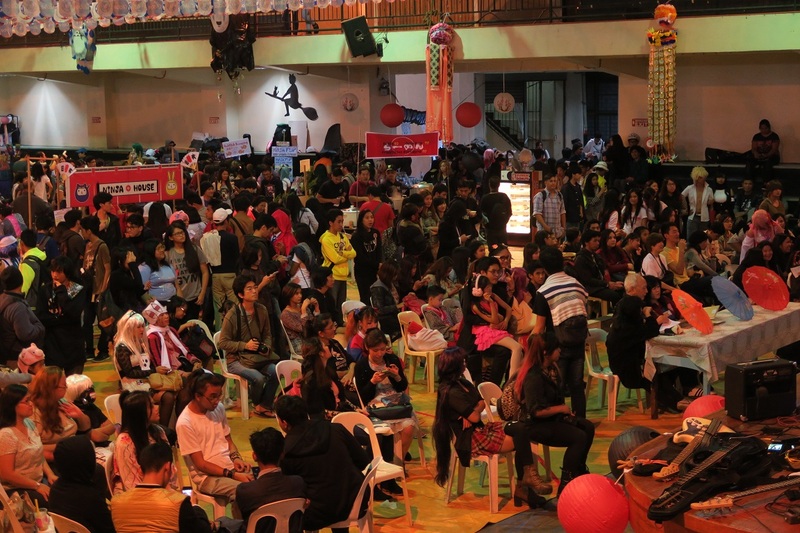 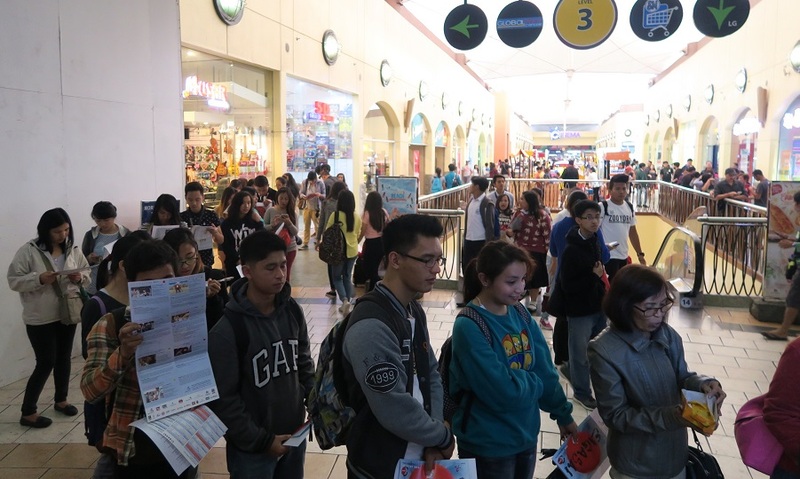 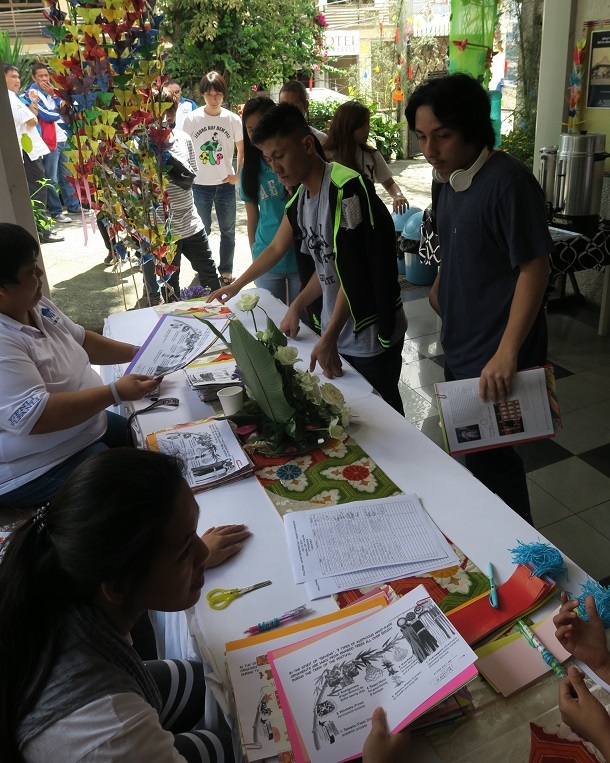 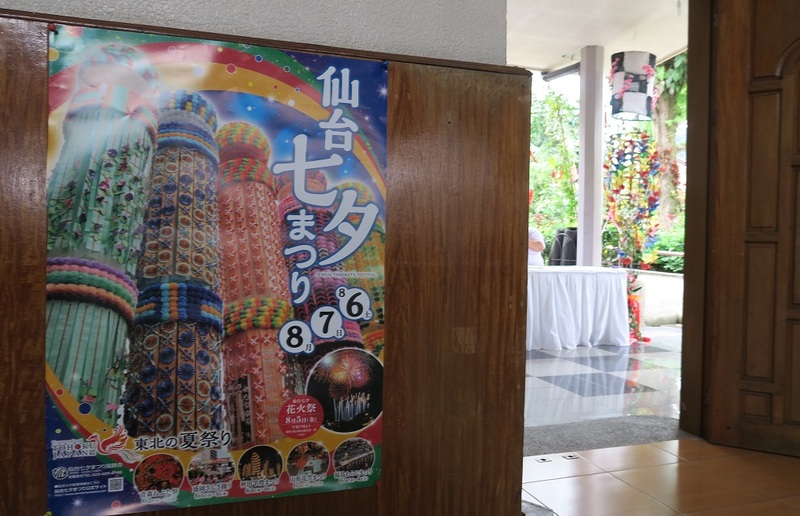 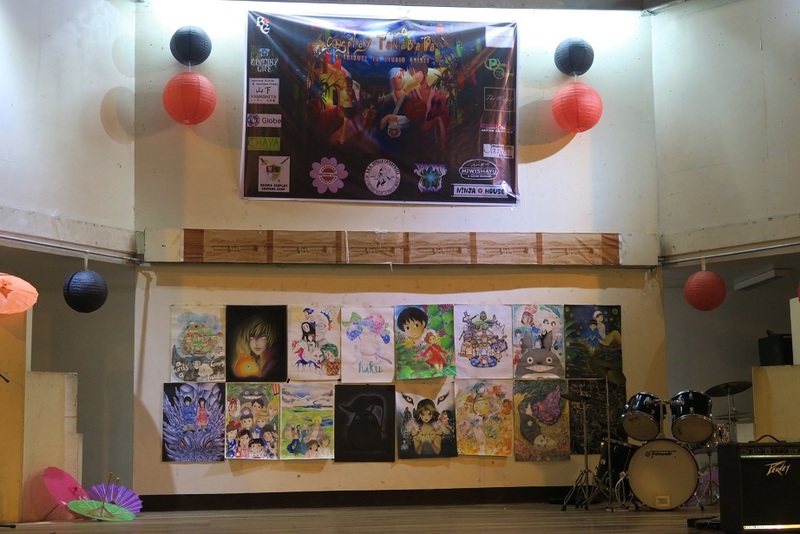 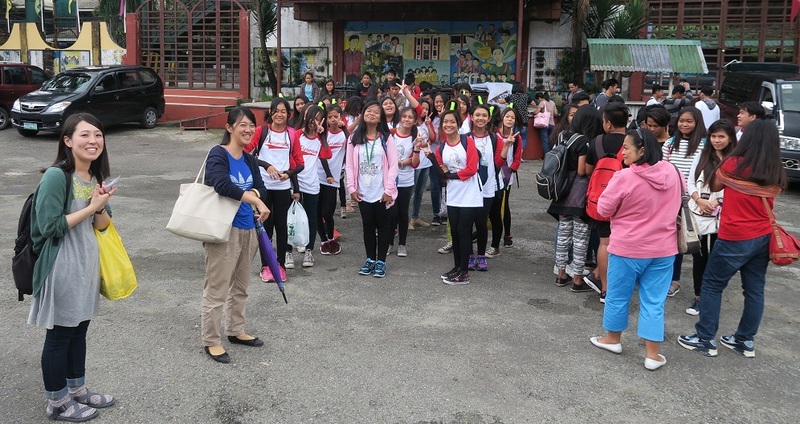 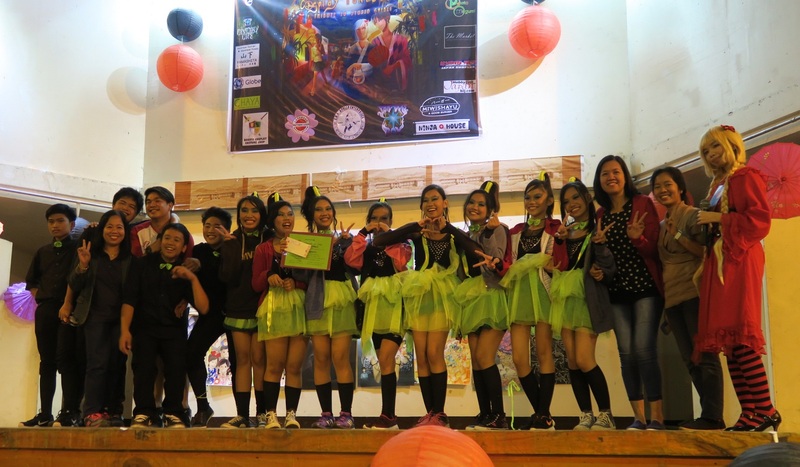 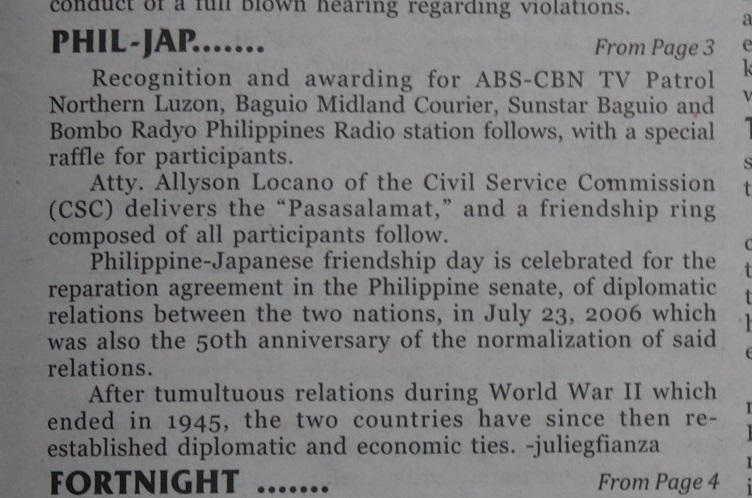 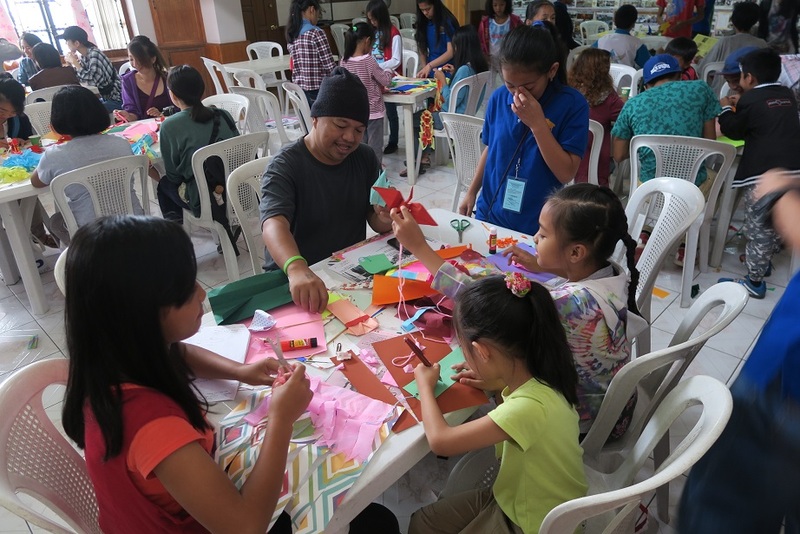 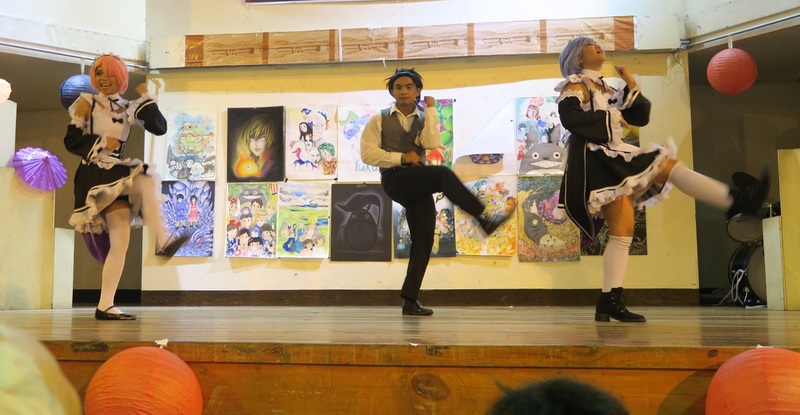 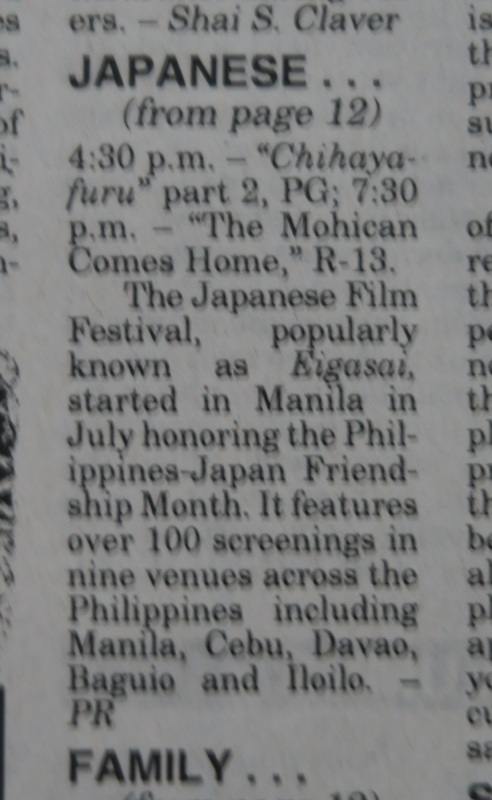 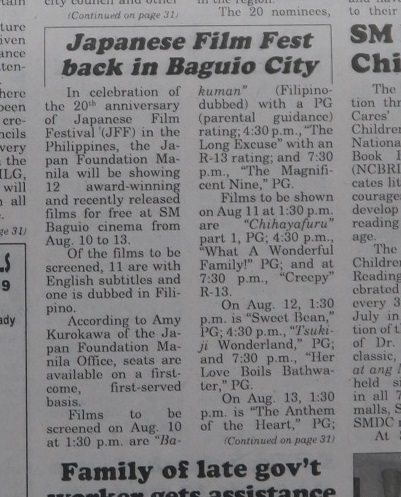 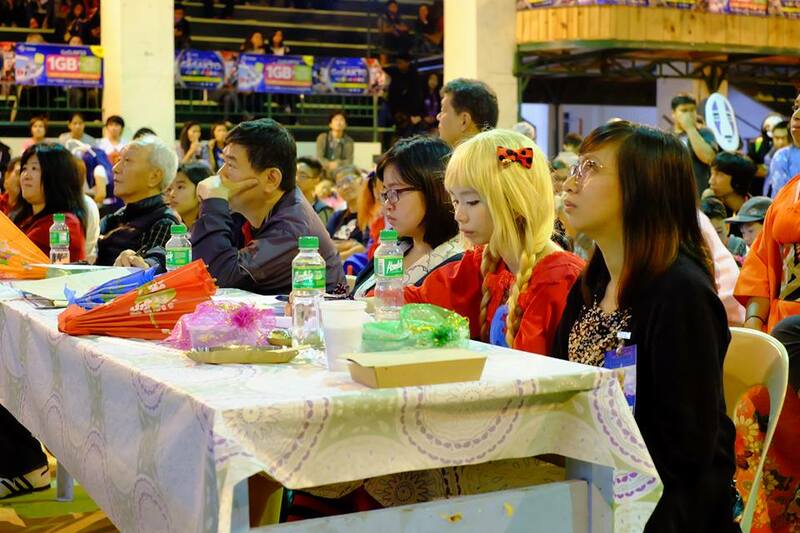 SM Baguio Cinema Branch Manager Mar Austria said about 6000 attendees were recorded in the event celebrating the 20th anniversary of the Philippine-Japan Friendship Month in July and August in the country. 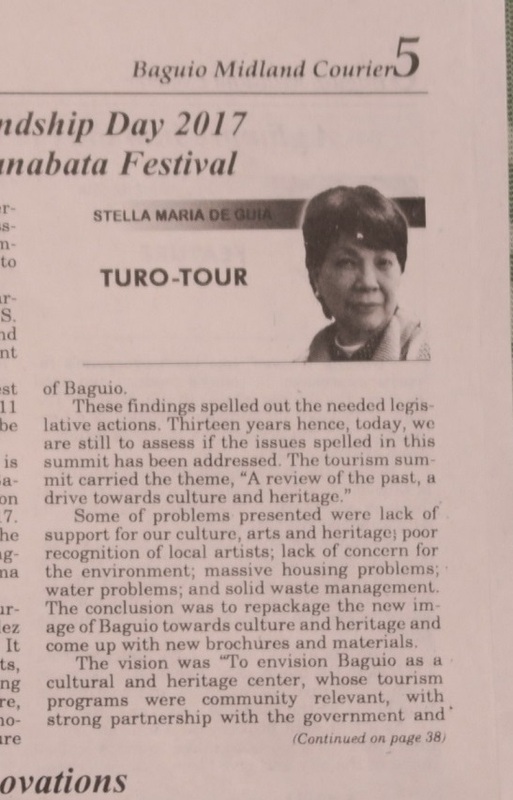 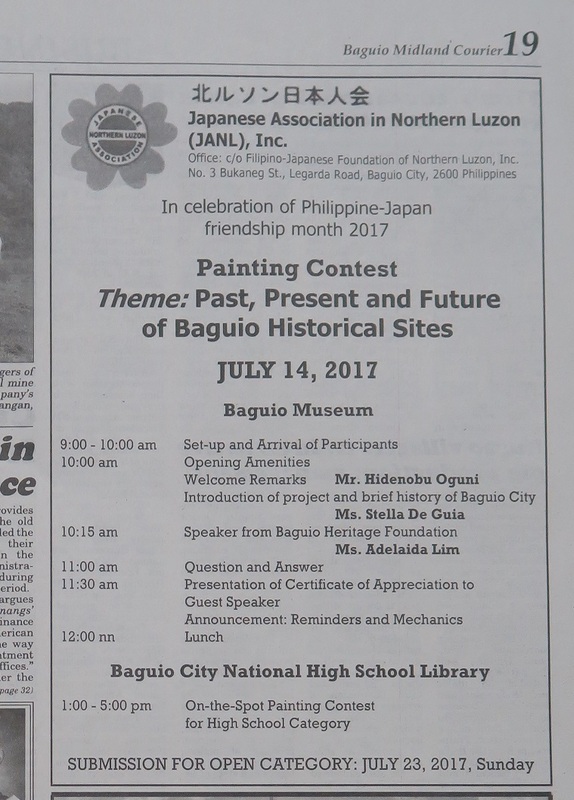 In the aftermath of the Baguio earthquake in 1990, JICA extended road disaster prevention measures against landslides and falling rocks in its transport infrastructure projects in North Luzon, including the Naguilian Road and Rosario-Pugo-Baguio Road (popularly known as Marcos Highway). 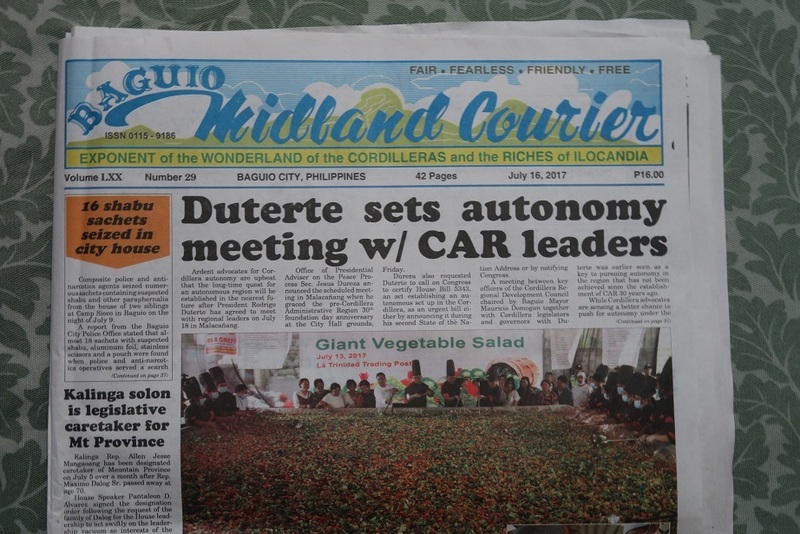 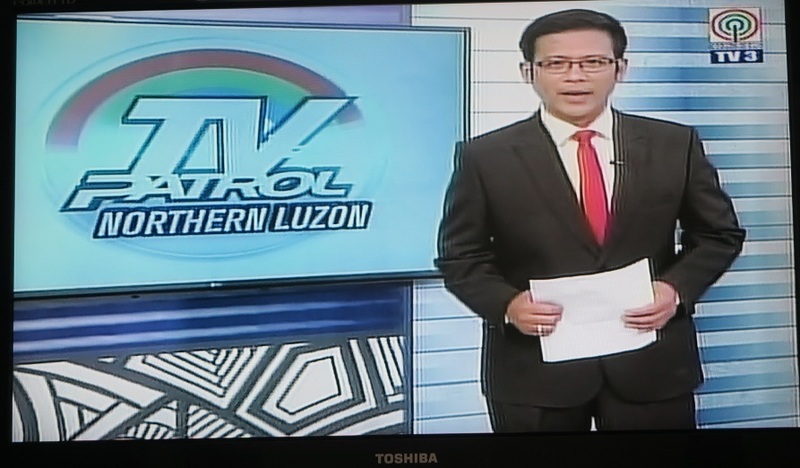 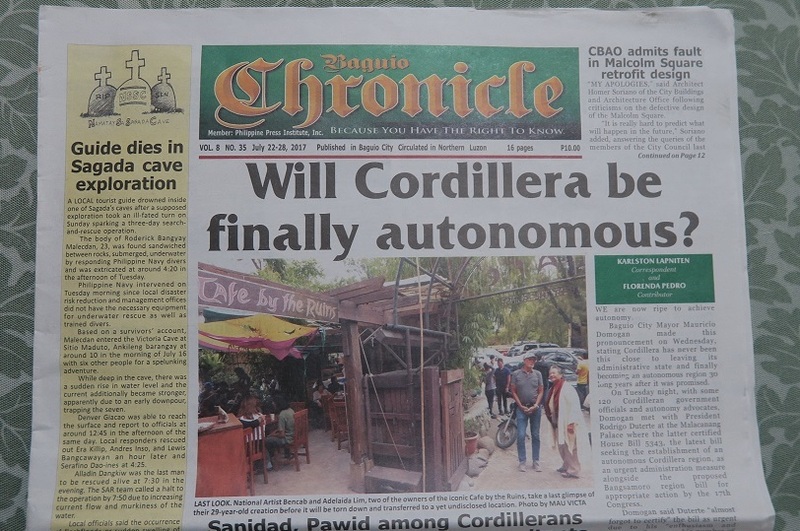 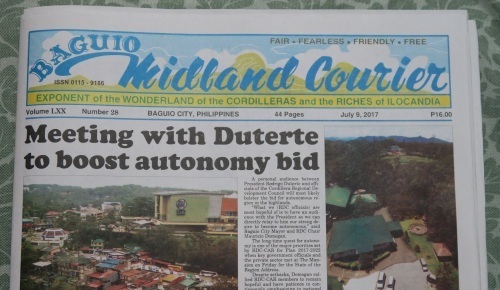 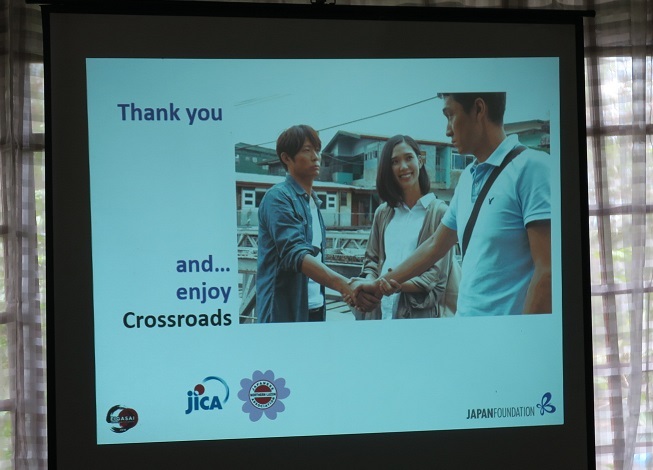 Through JICA’s assistance, said road was now the preferred access road to Baguio. 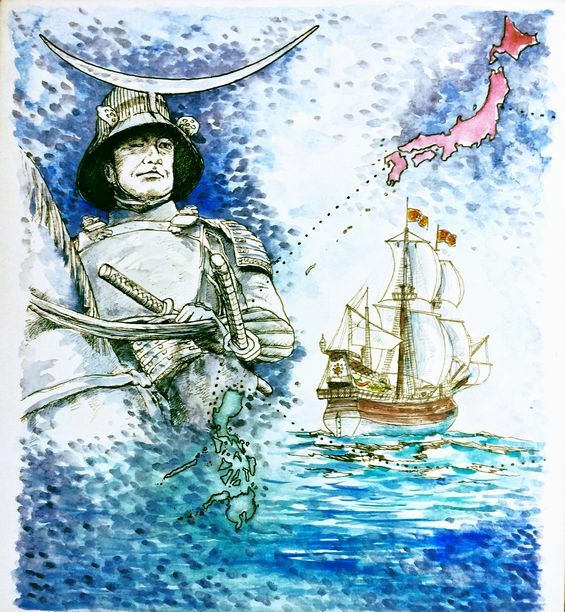 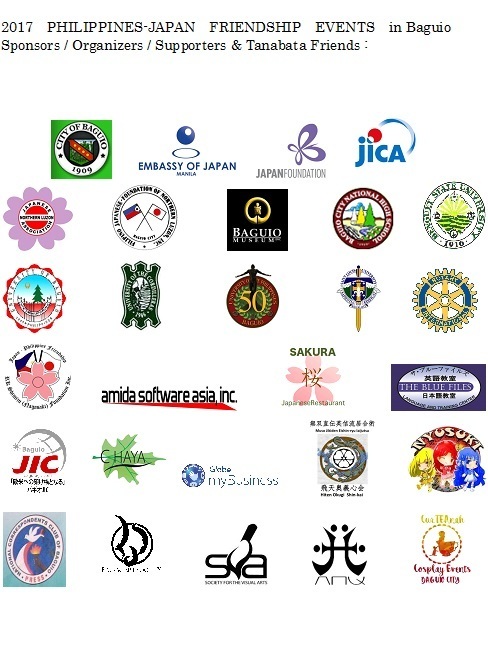 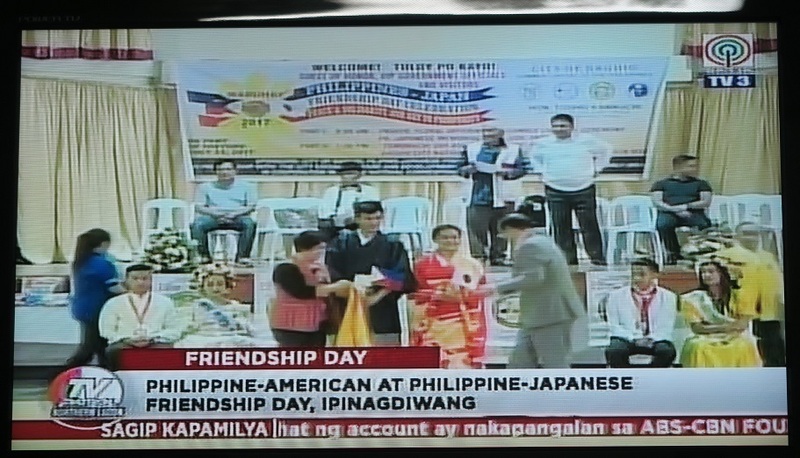 in Miyagi Prefecture and also marks Japan-Philippines friendship and diplomatic relations. 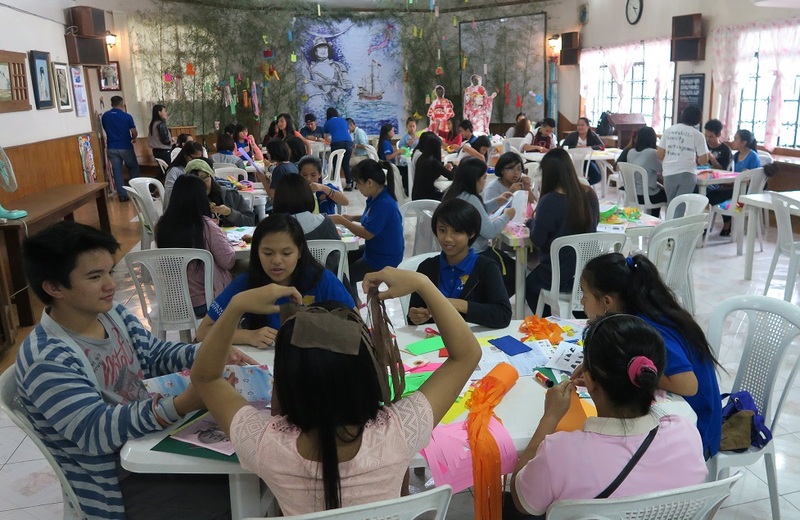 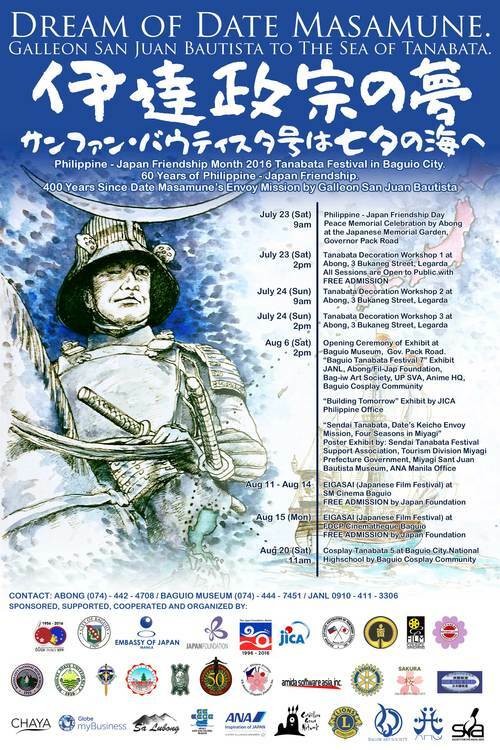 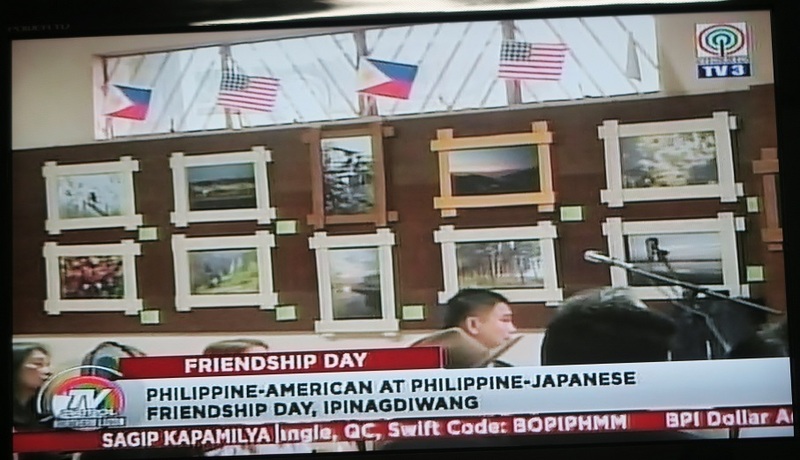 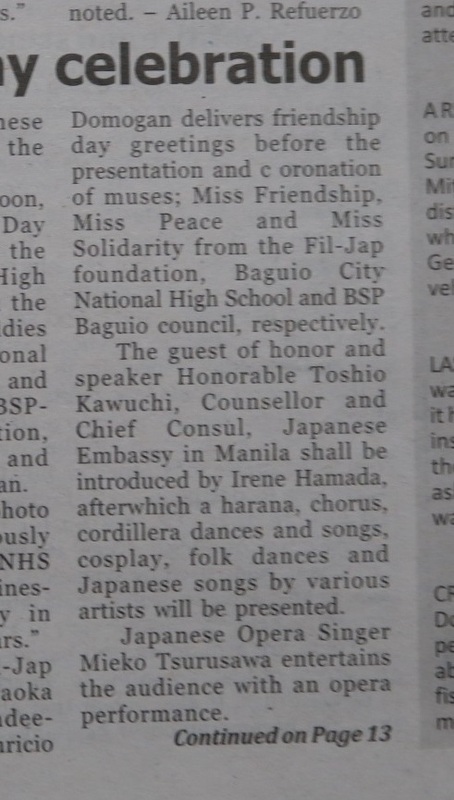 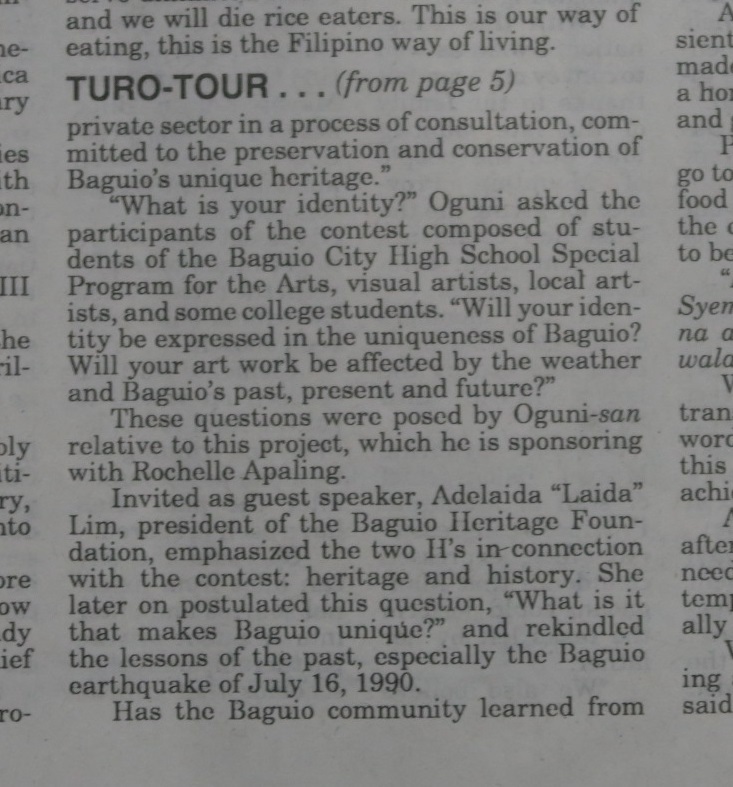 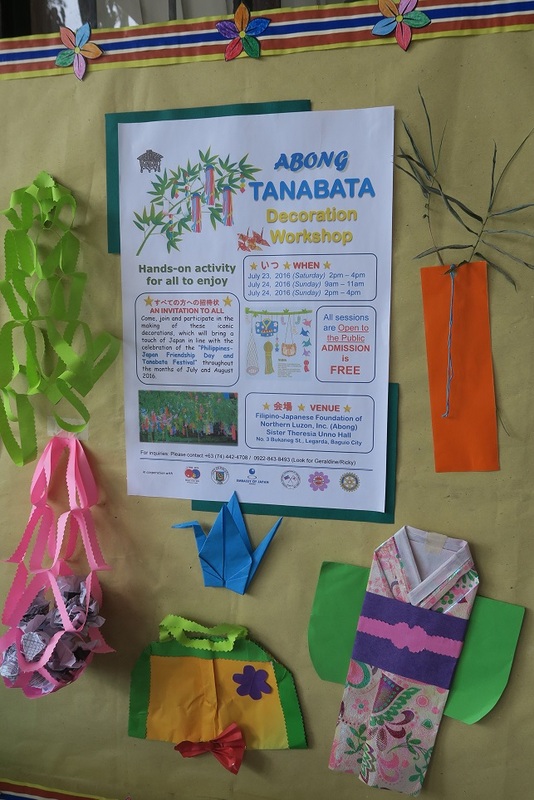 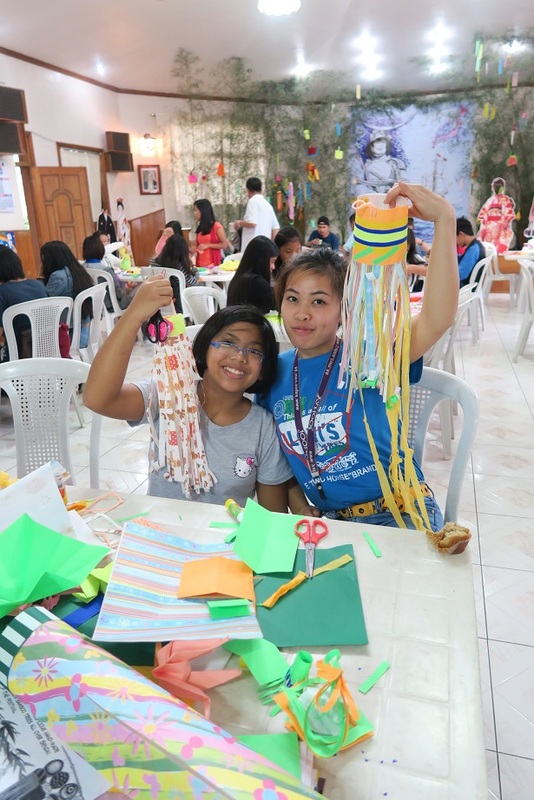 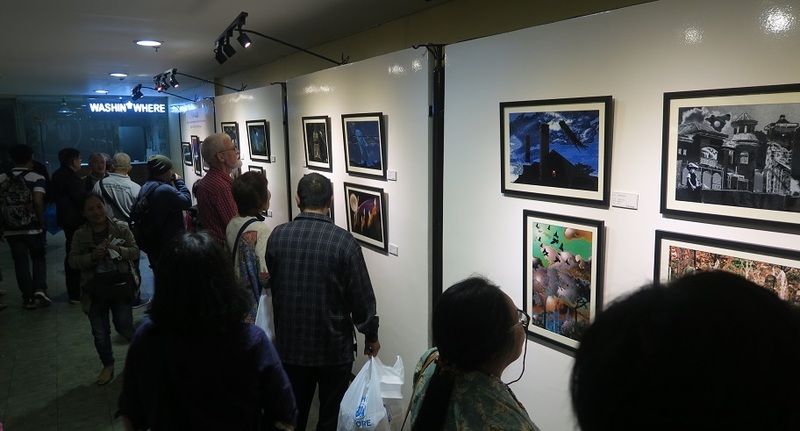 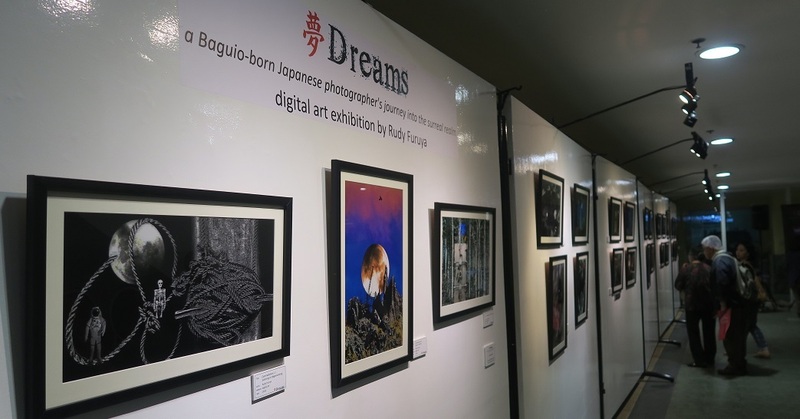 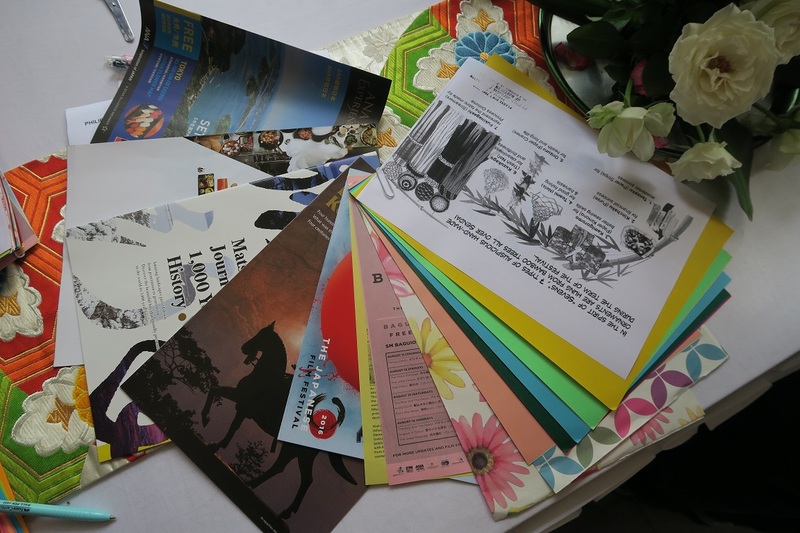 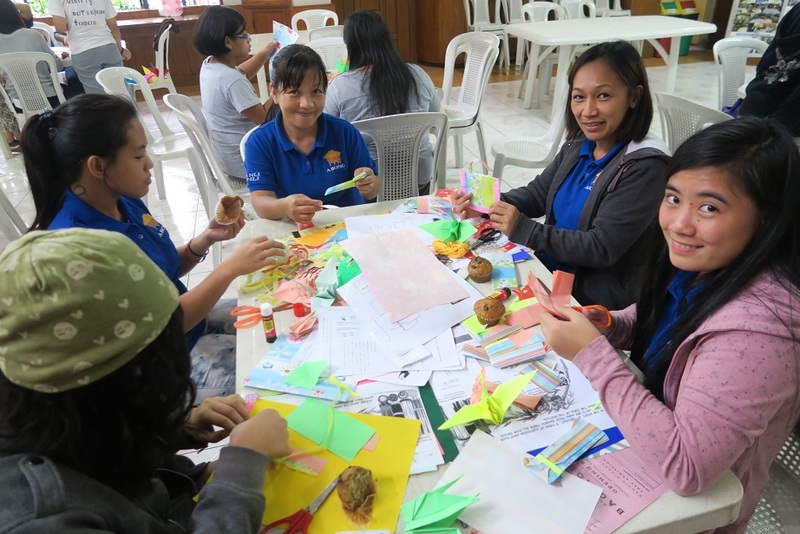 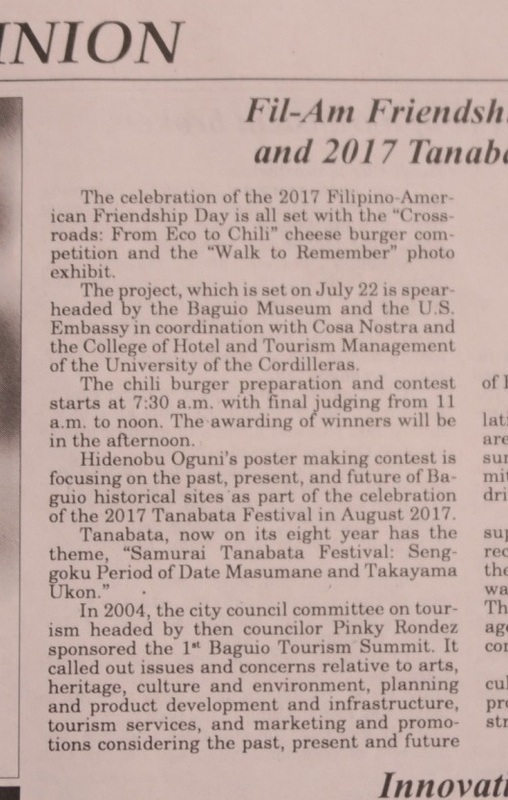 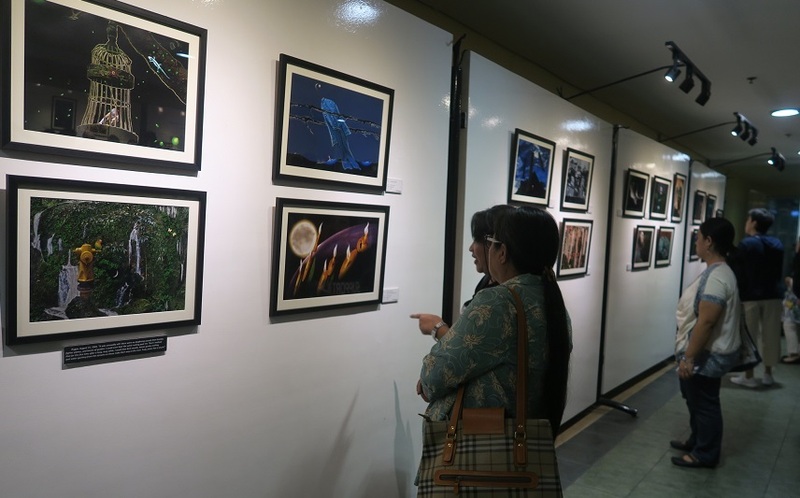 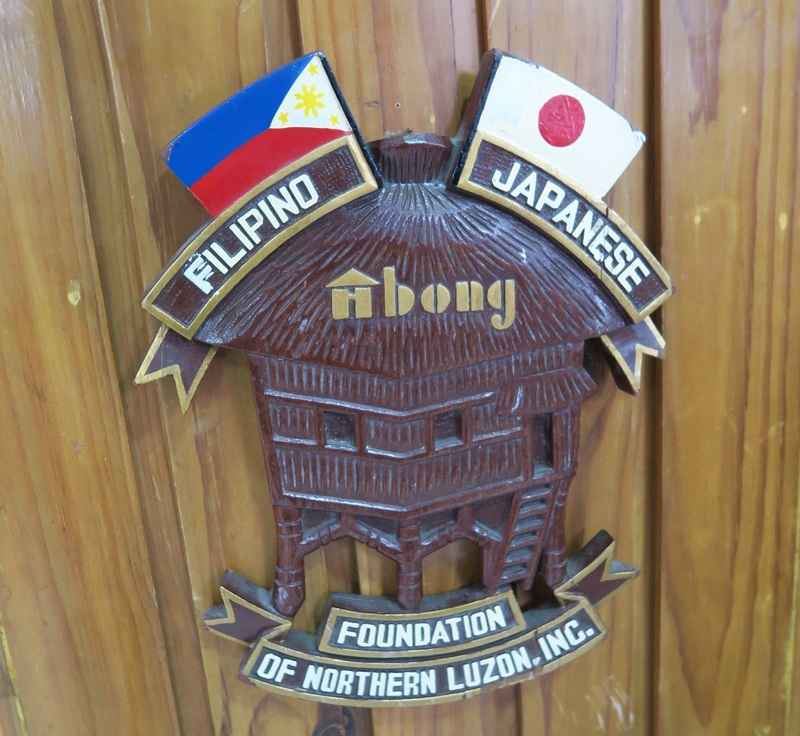 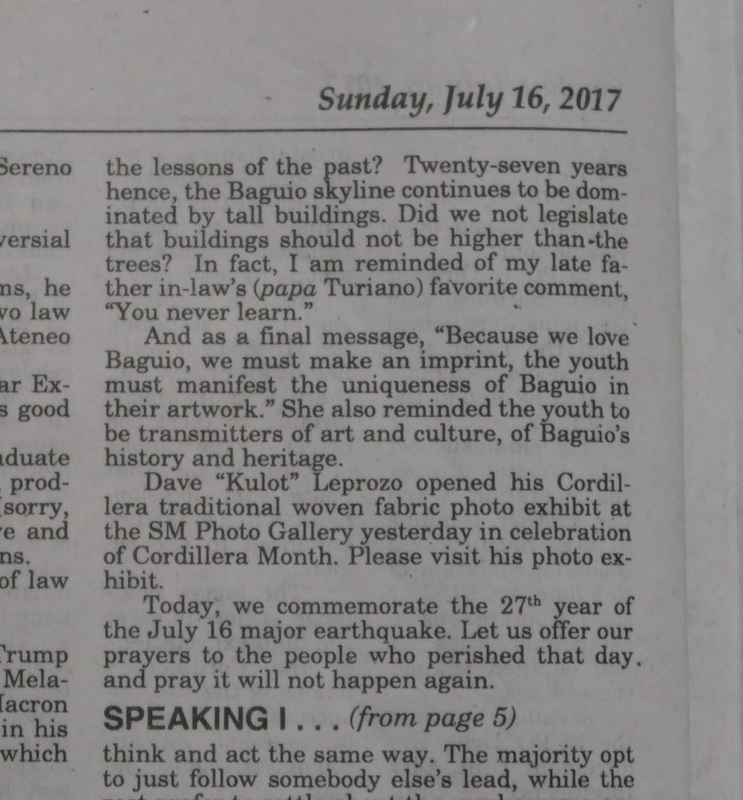 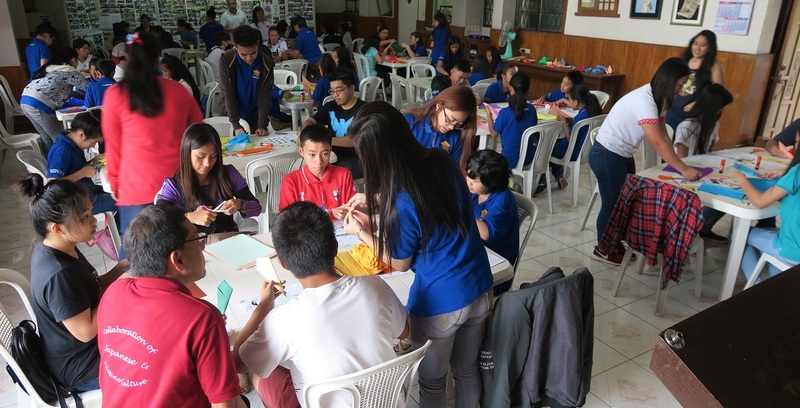 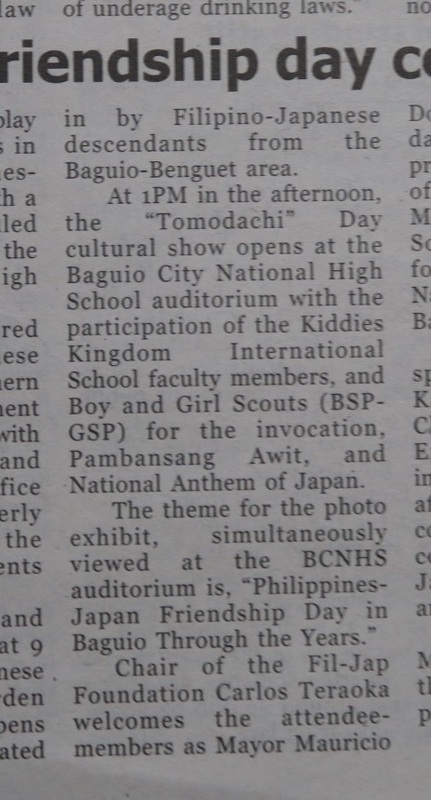 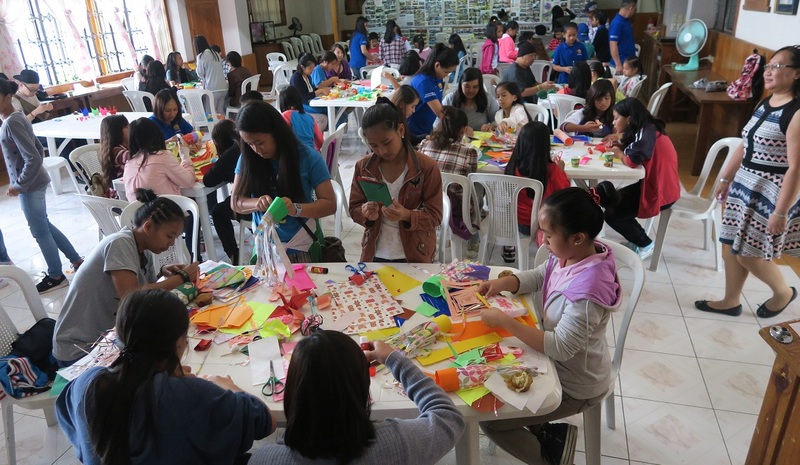 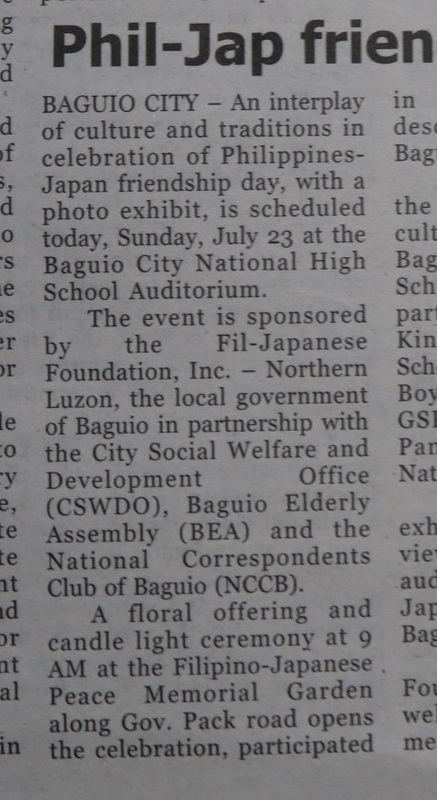 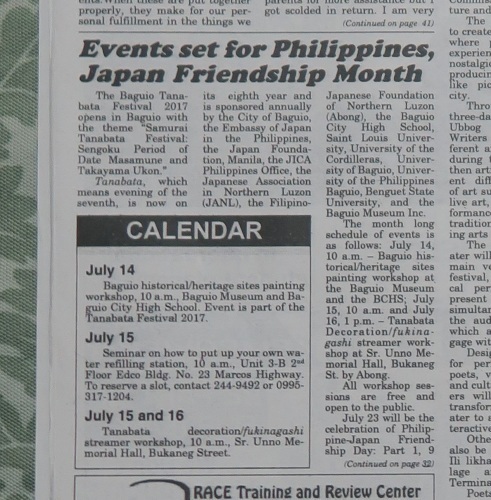 BAGUIO CITY – An interplay of culture and traditions in celebration of Philippines-Japan friendship day, with a photo exhibit, is scheduled on July 23 at the Baguio City National High School Auditorium. 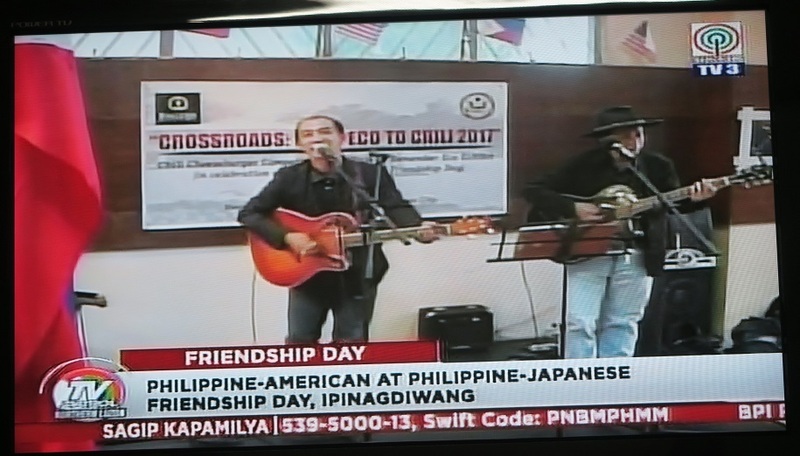 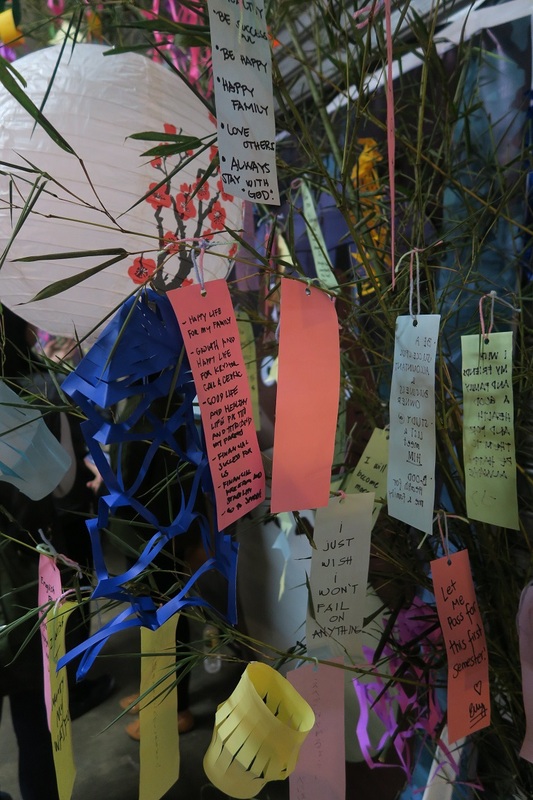 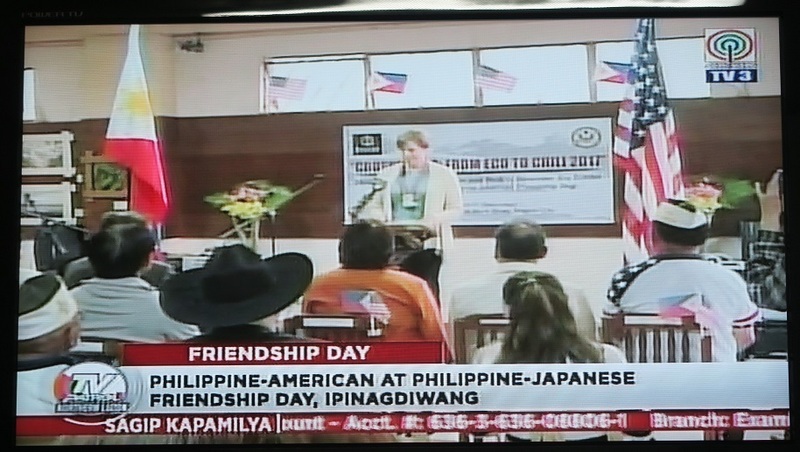 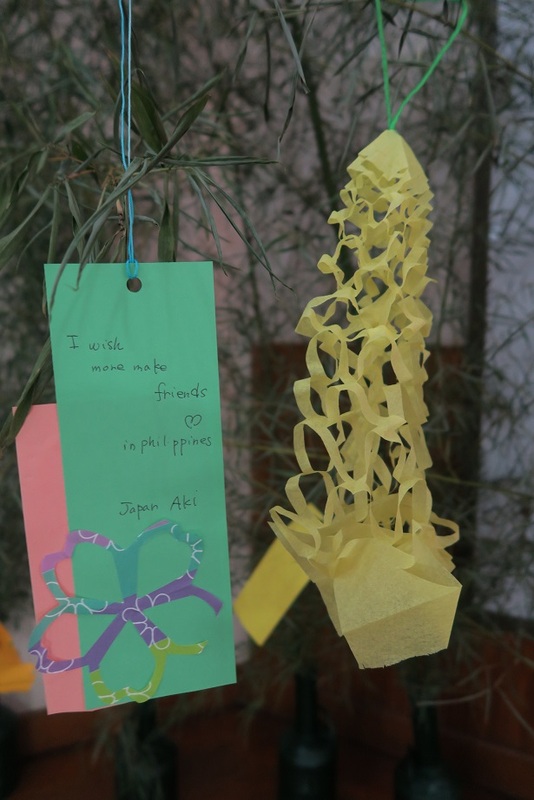 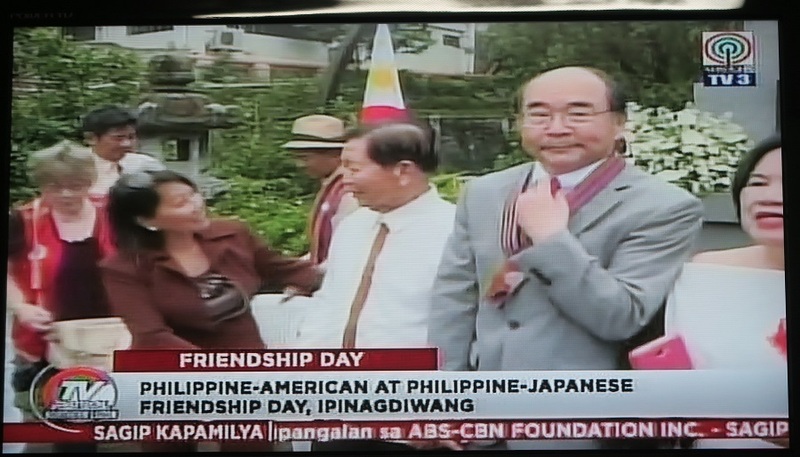 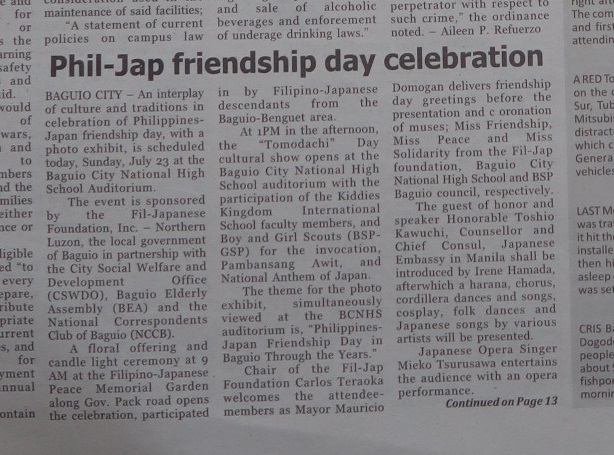 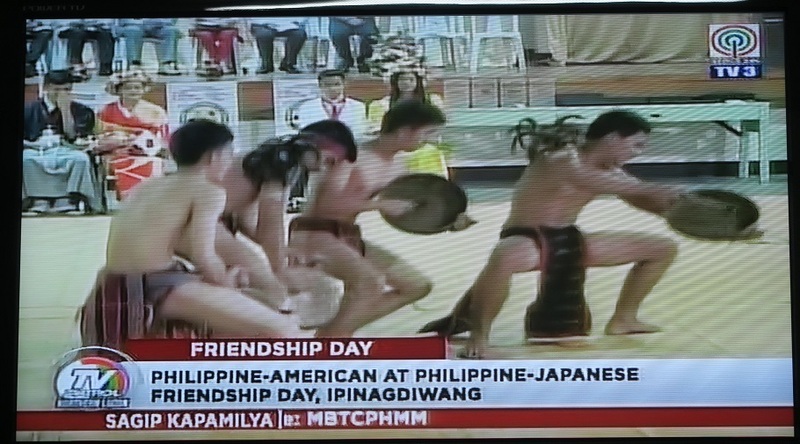 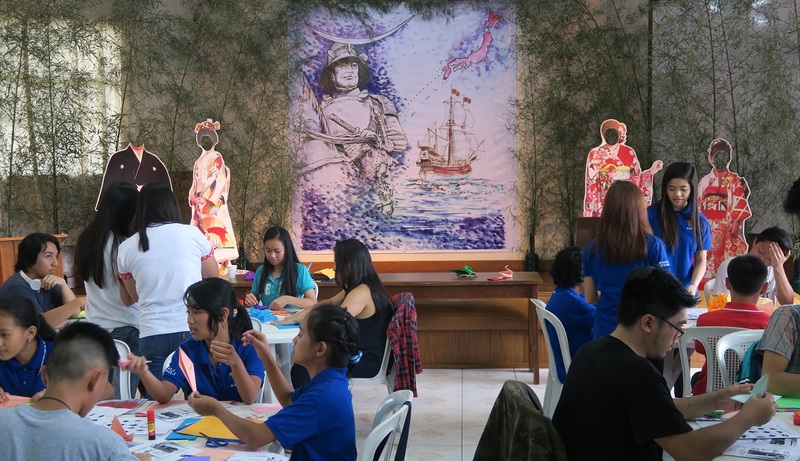 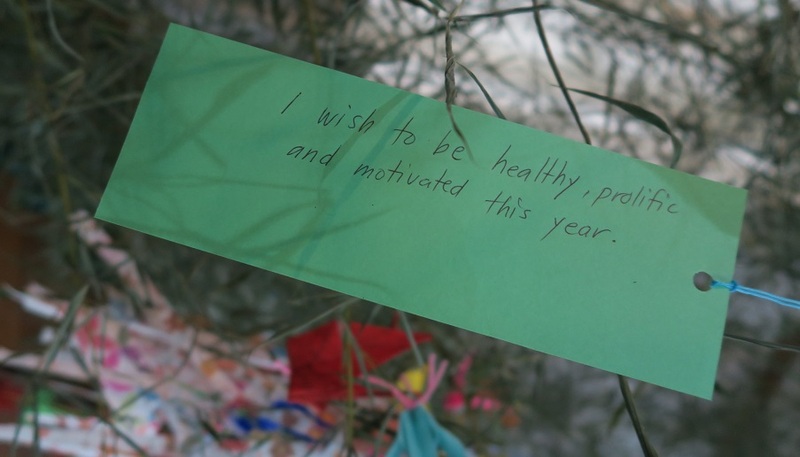 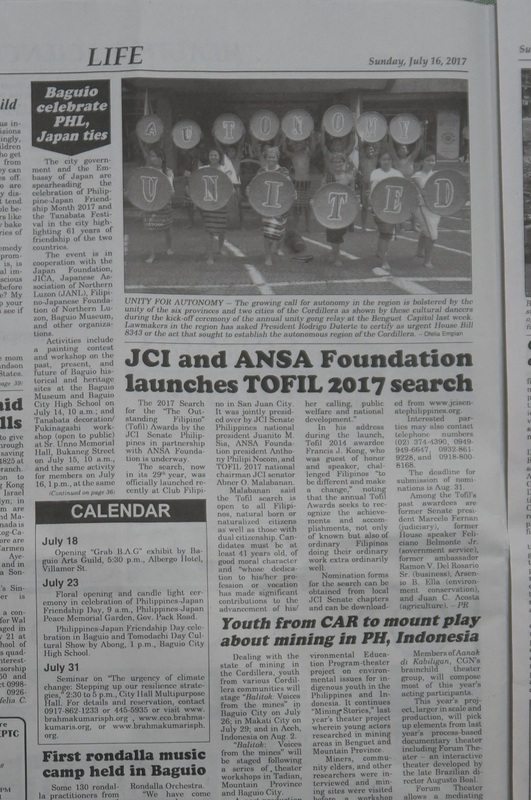 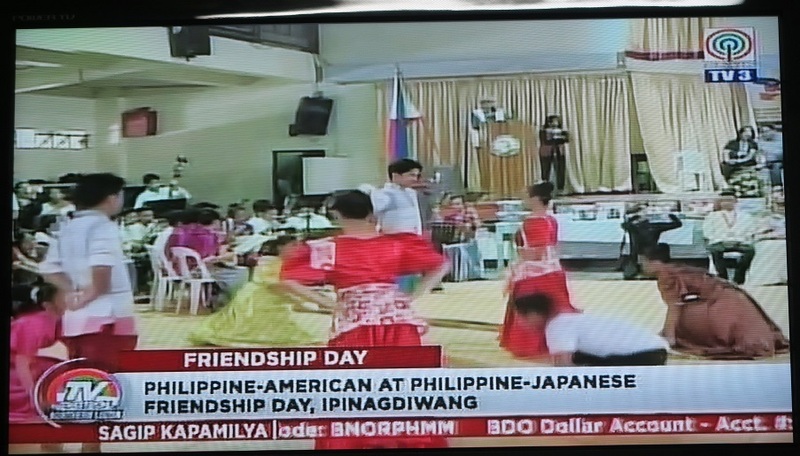 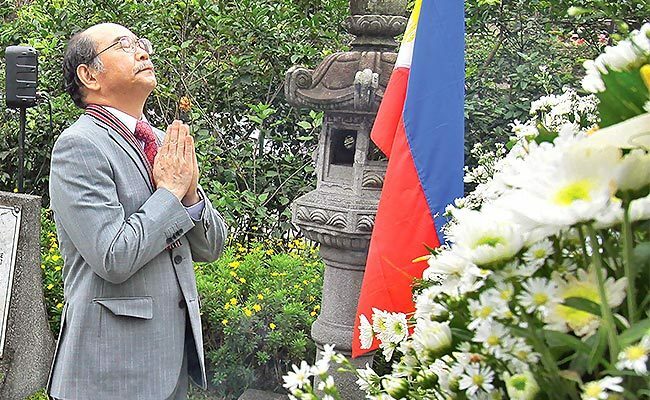 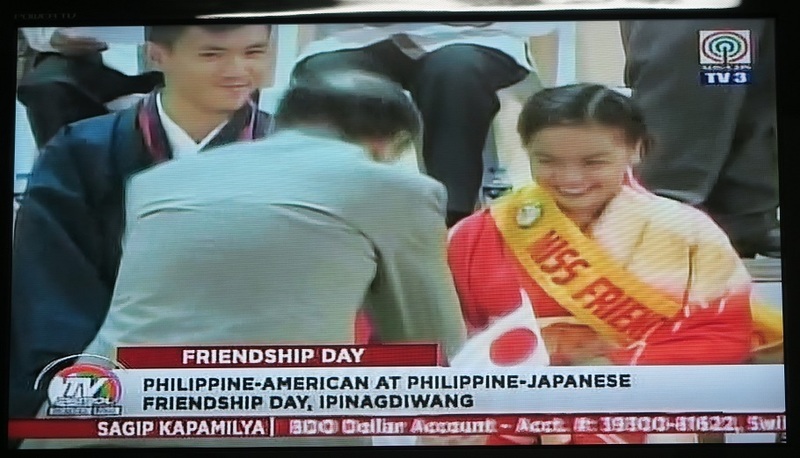 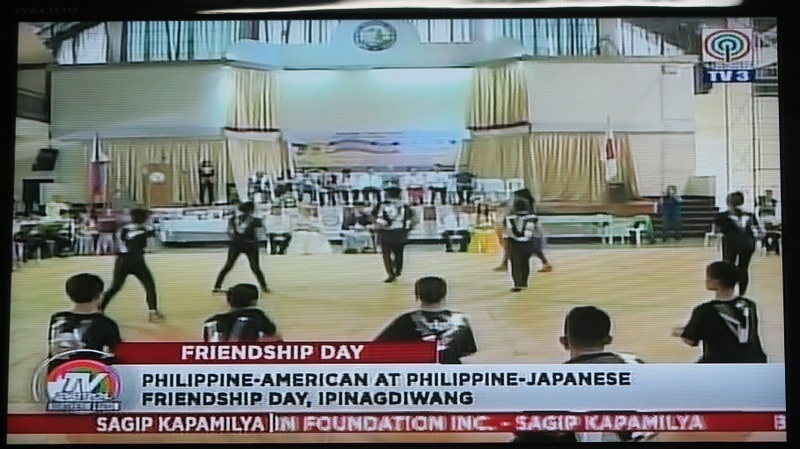 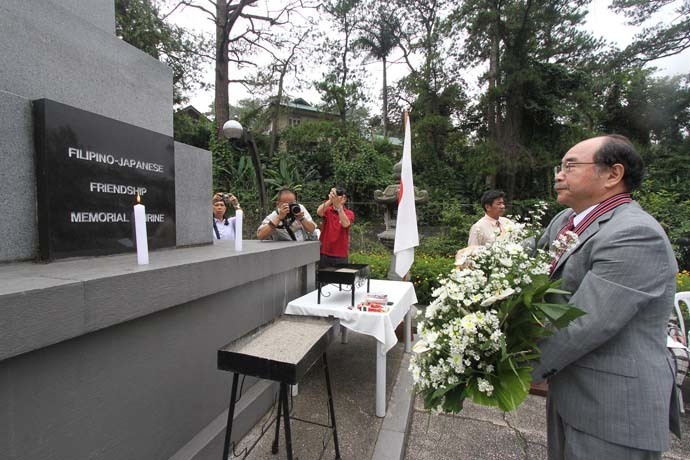 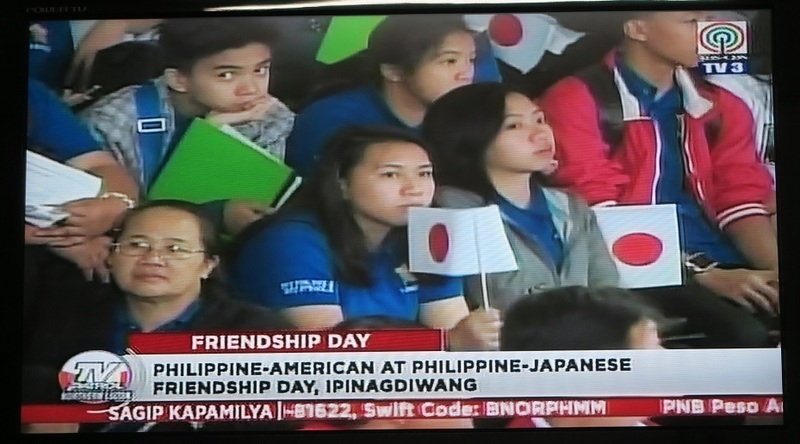 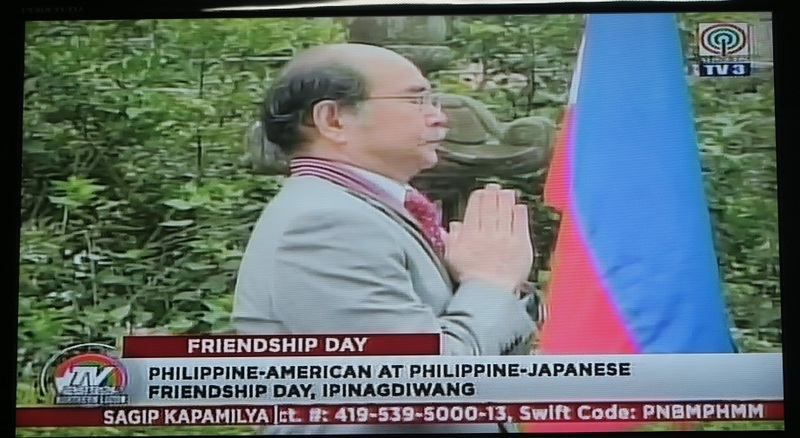 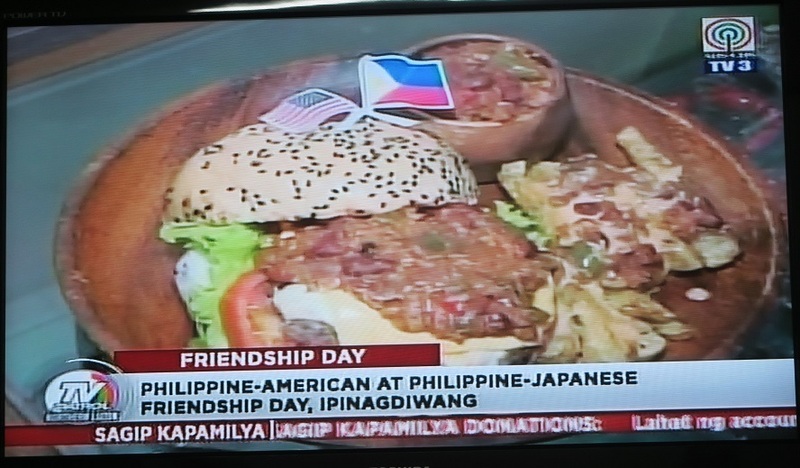 BAGUIO CITY – An interplay of culture and traditions marked the celebration of Philippines-Japan friendship day, commemorated at the Filipino-Japanese Peace Memorial Garden, along Gov. 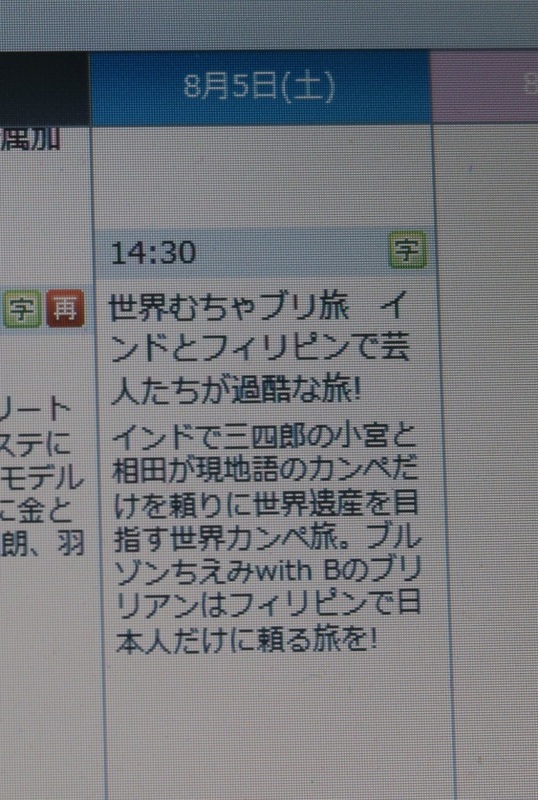 Pack road, Sunday morning. 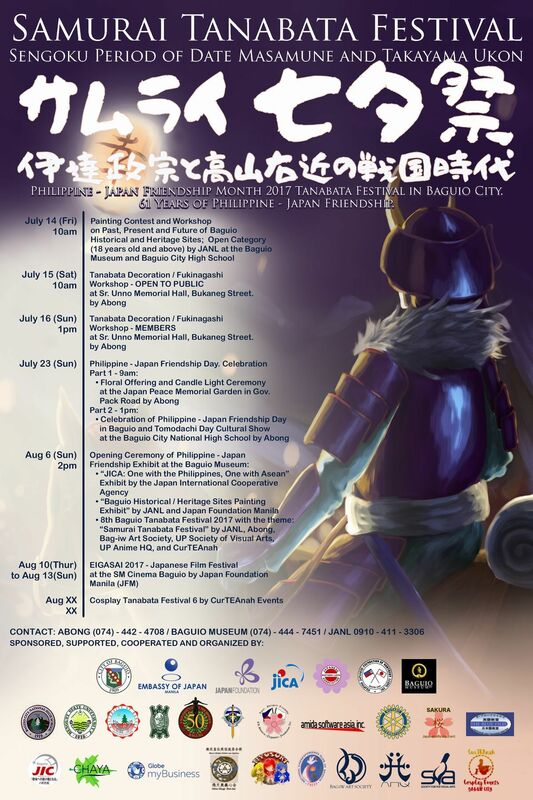 features of the month of July. 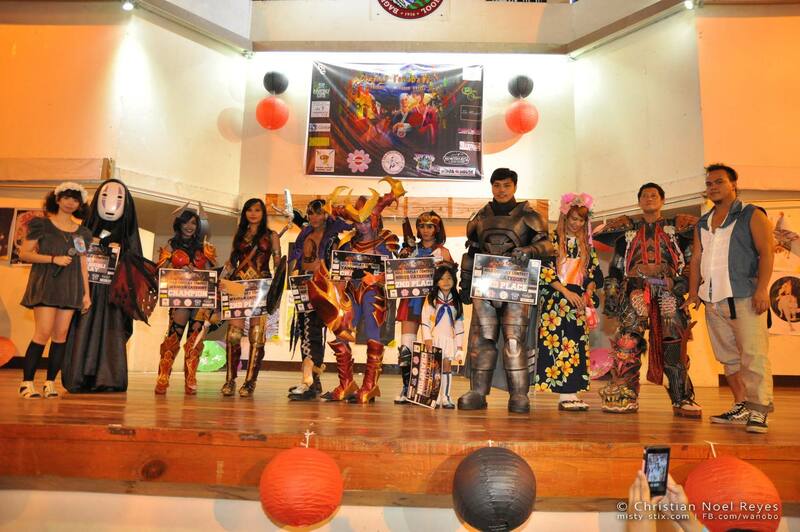 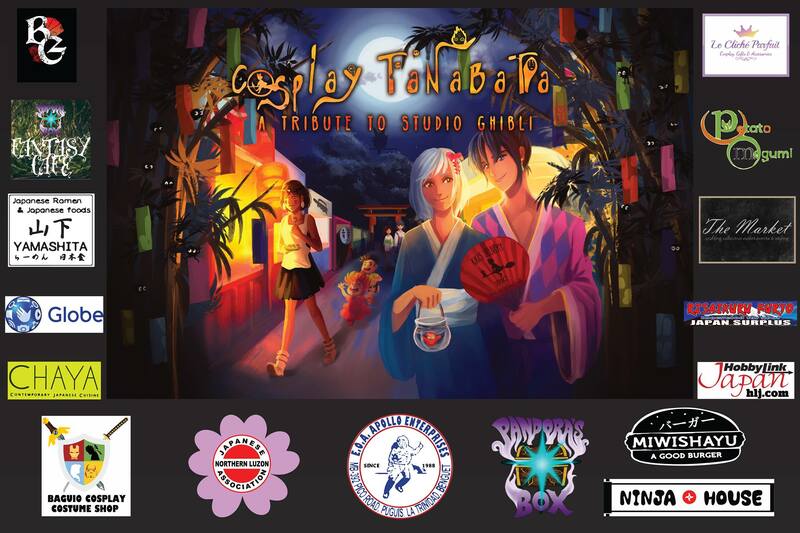 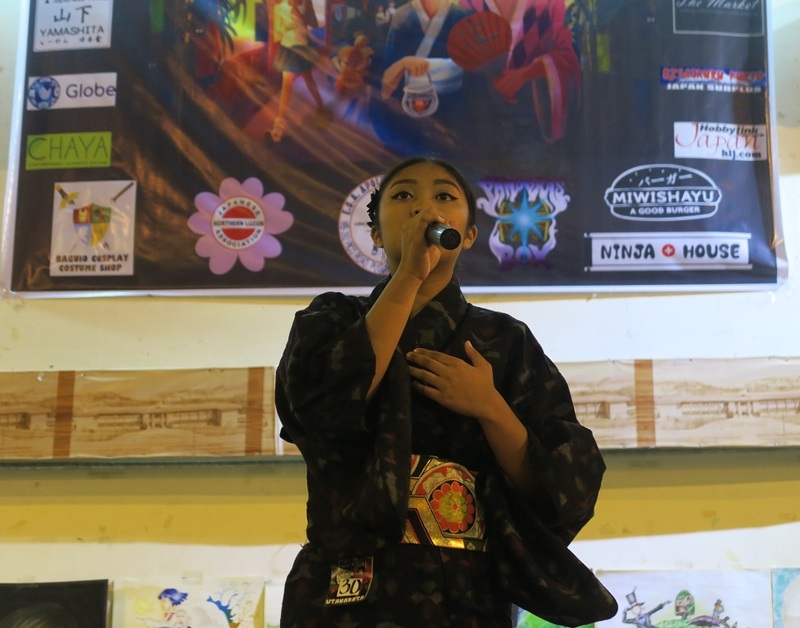 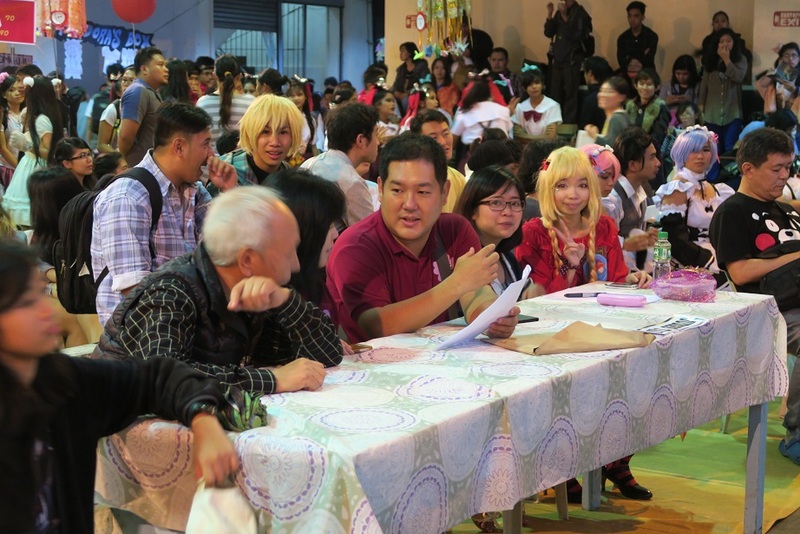 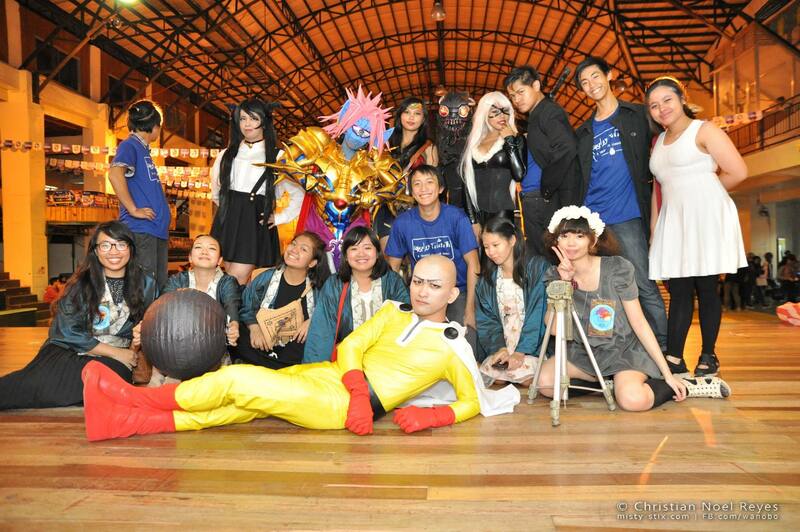 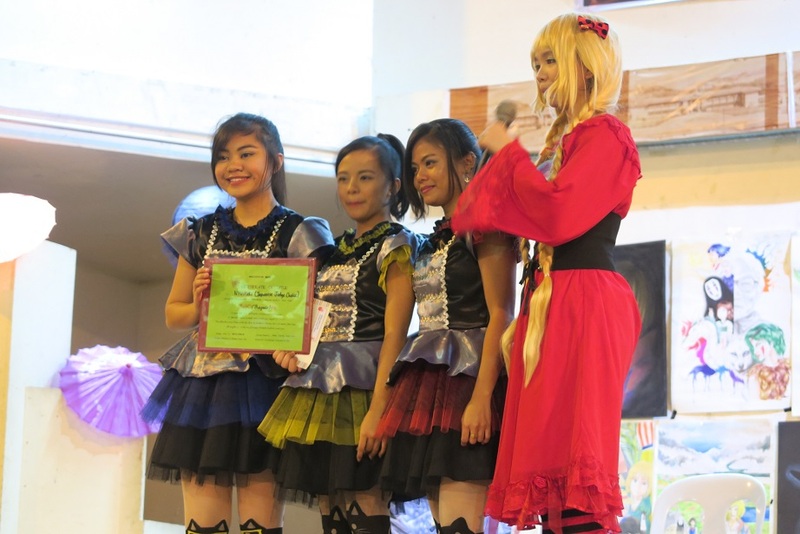 COSPLAY TANBATA FESTIVAL 5 held on August 20, 2016.
the Cosplay Tanabata 5 !! 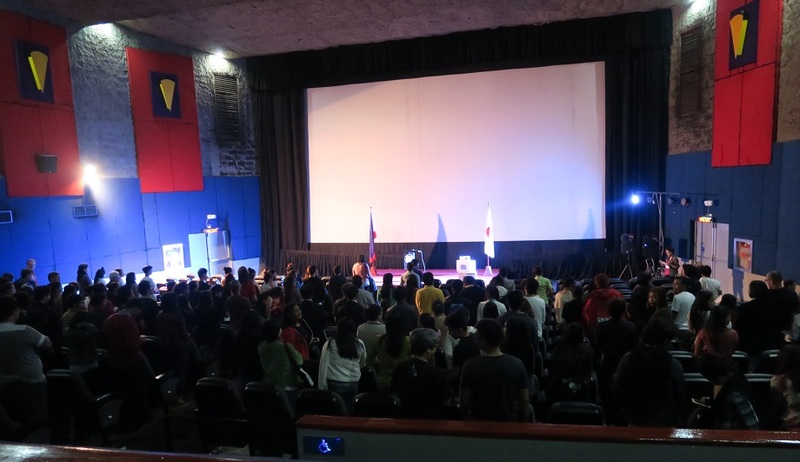 2016 at SM Cinema 3 in Baguio city. 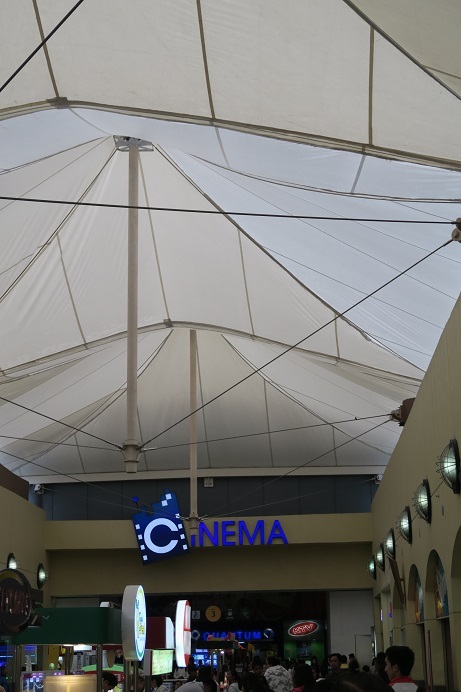 located in Casa Vallejo, Upper Session Road. 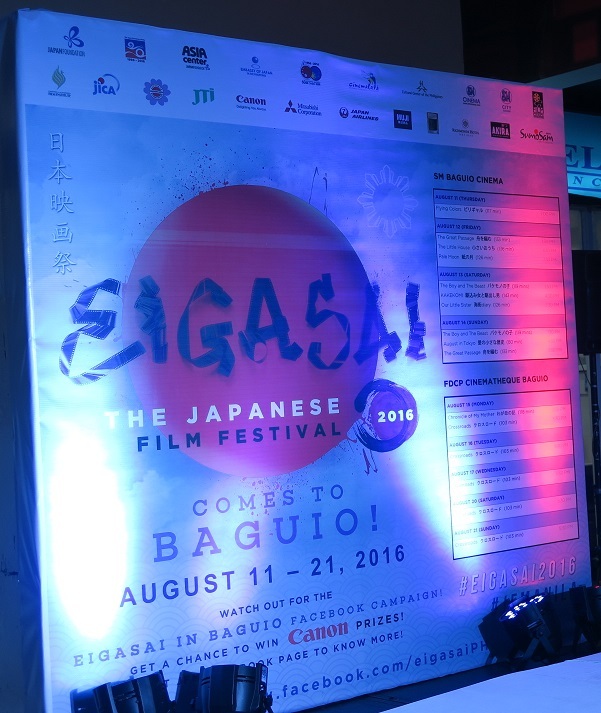 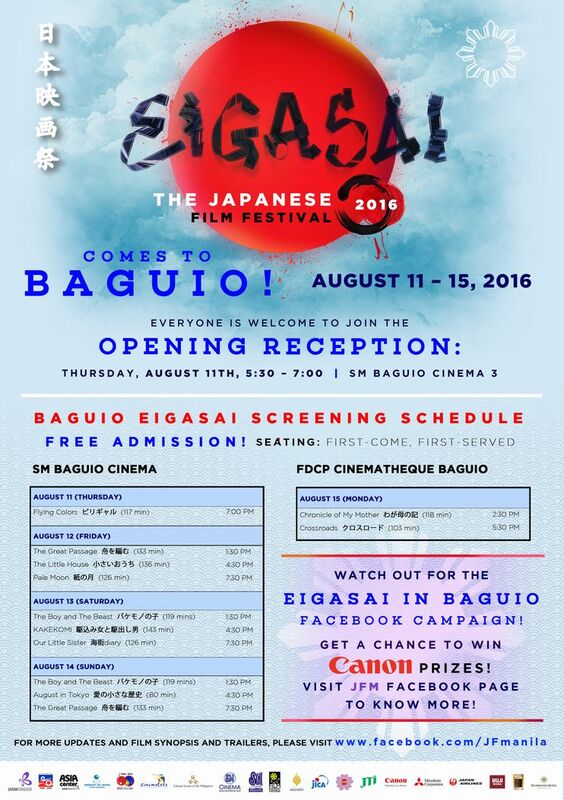 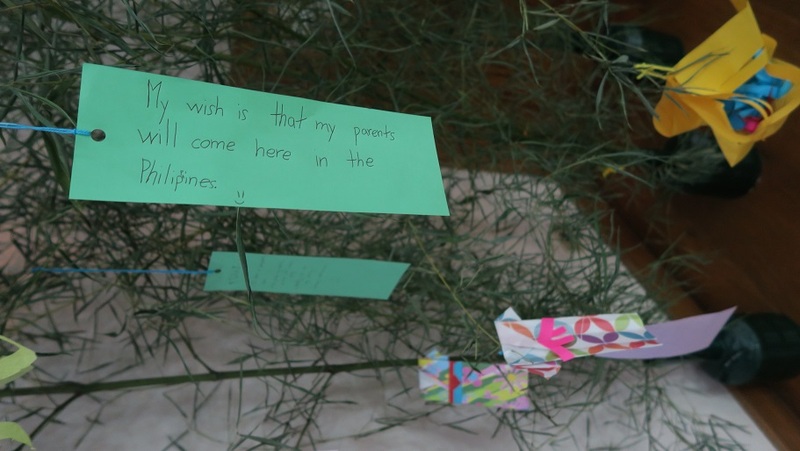 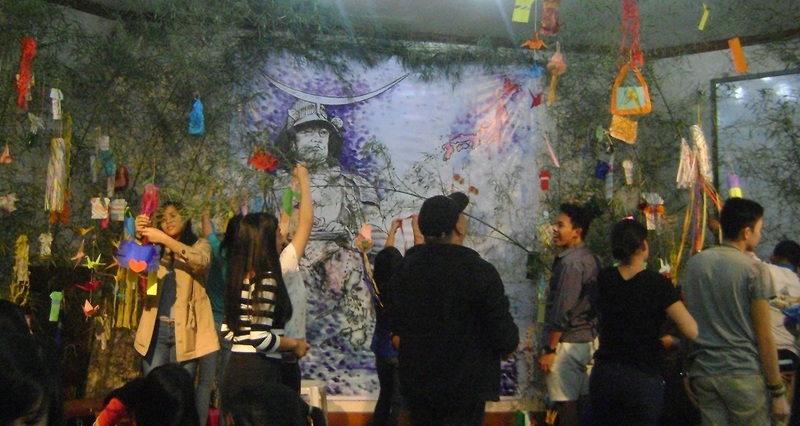 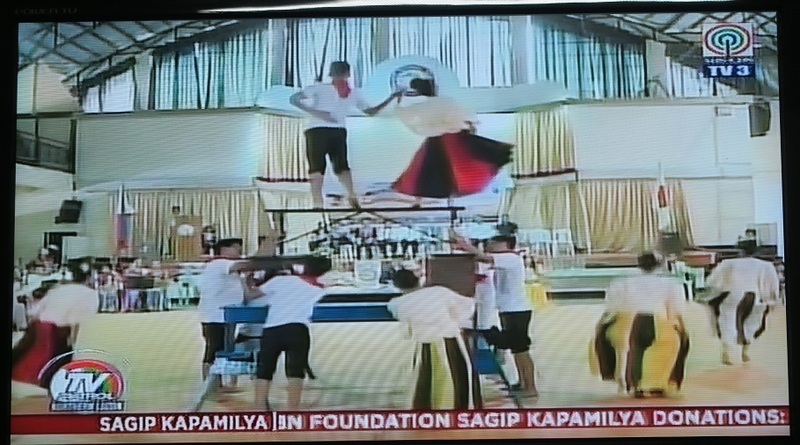 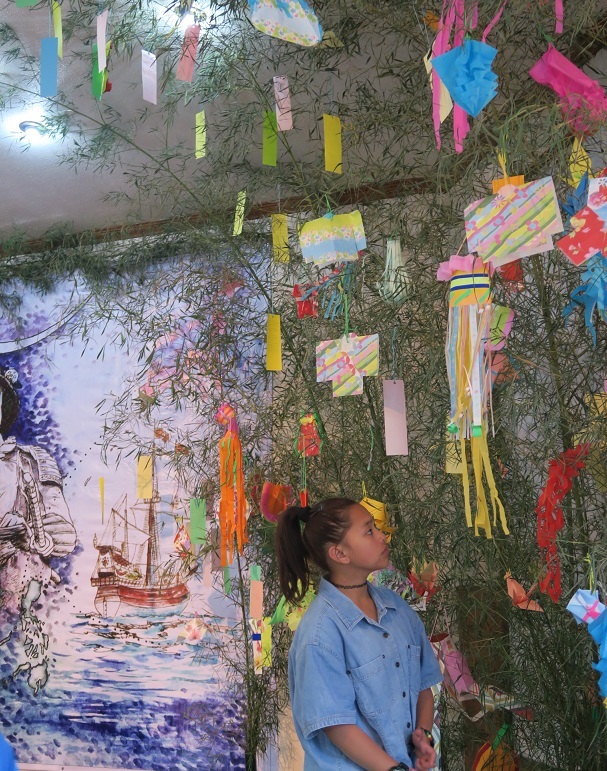 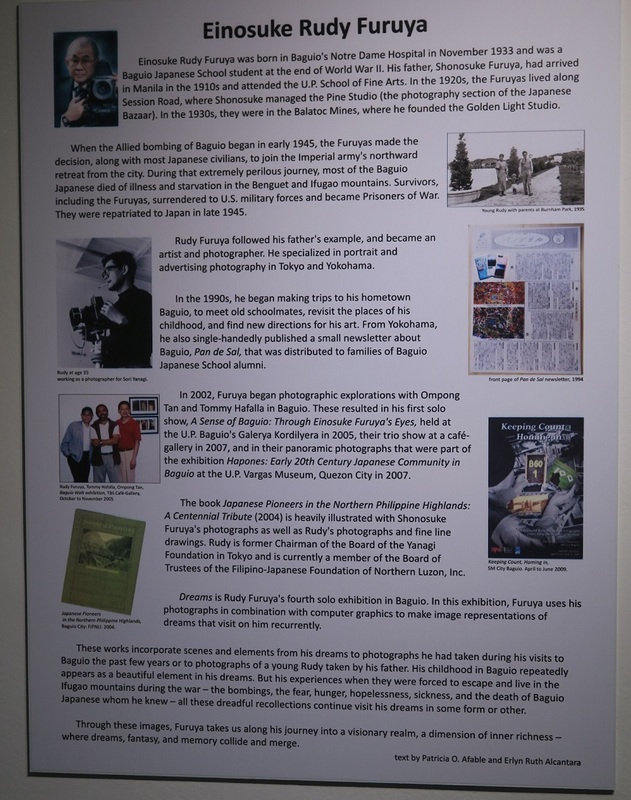 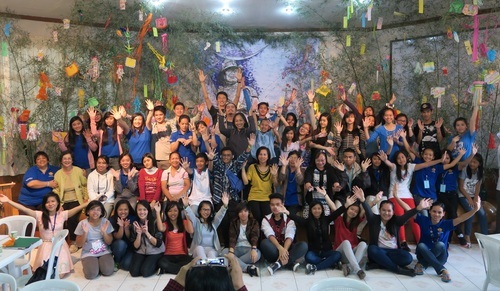 EIGASAI is brought to Baguio by Japan Foundation. 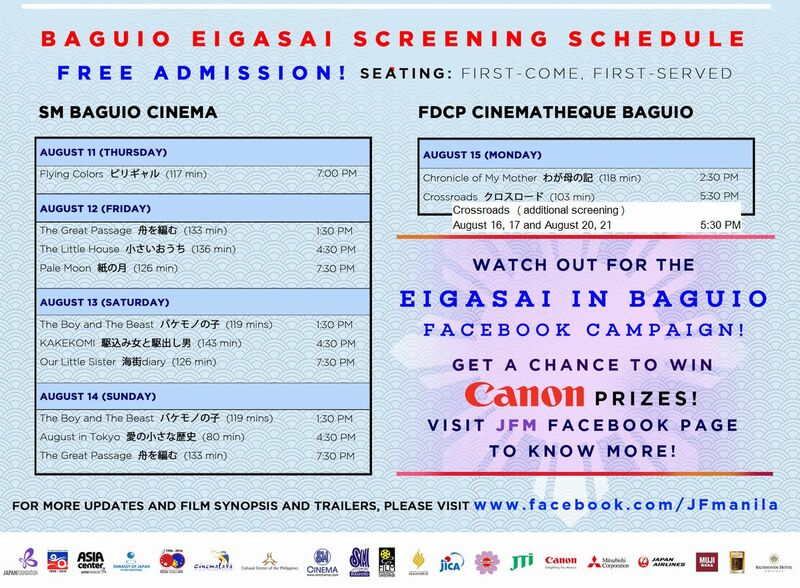 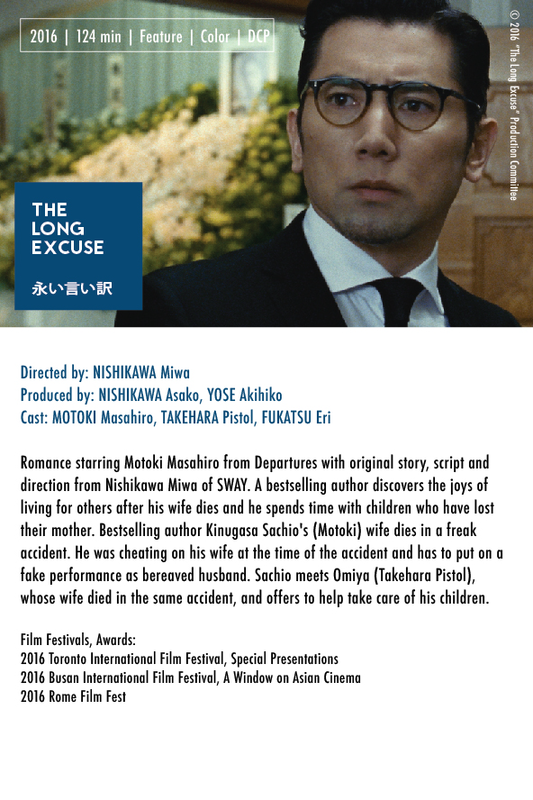 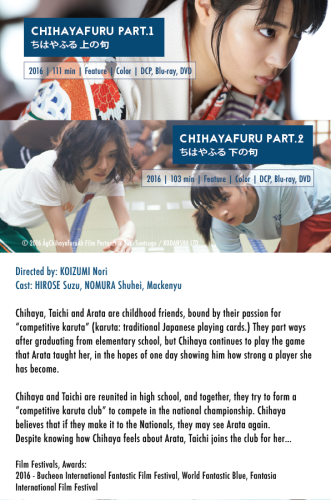 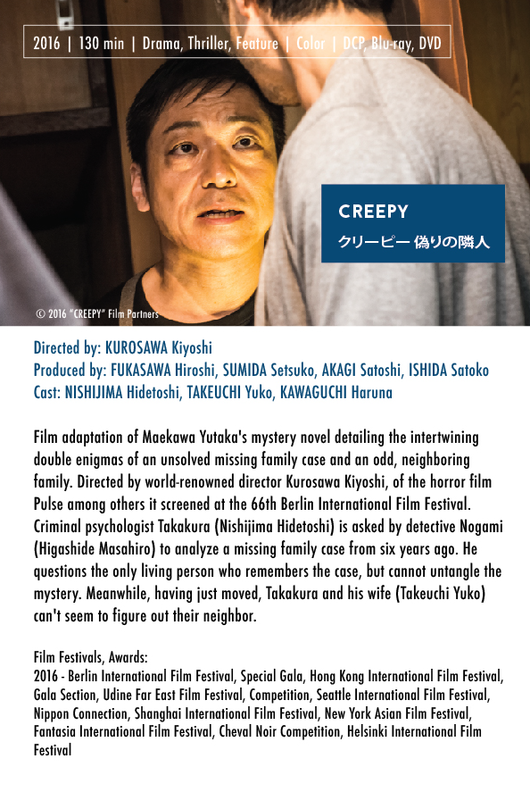 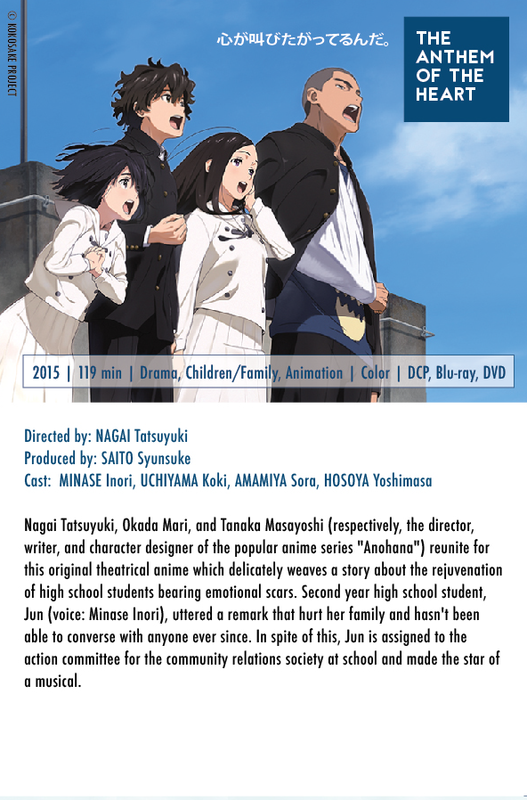 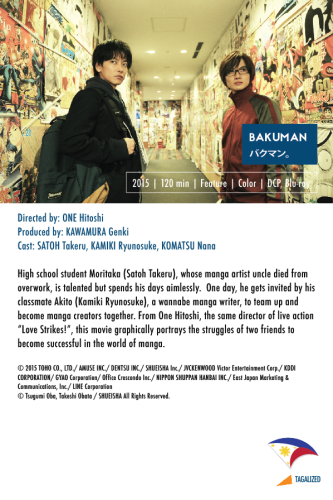 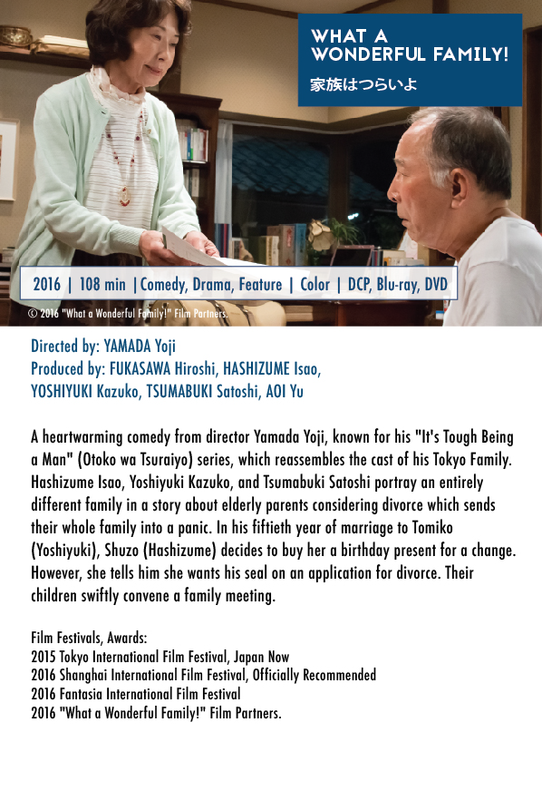 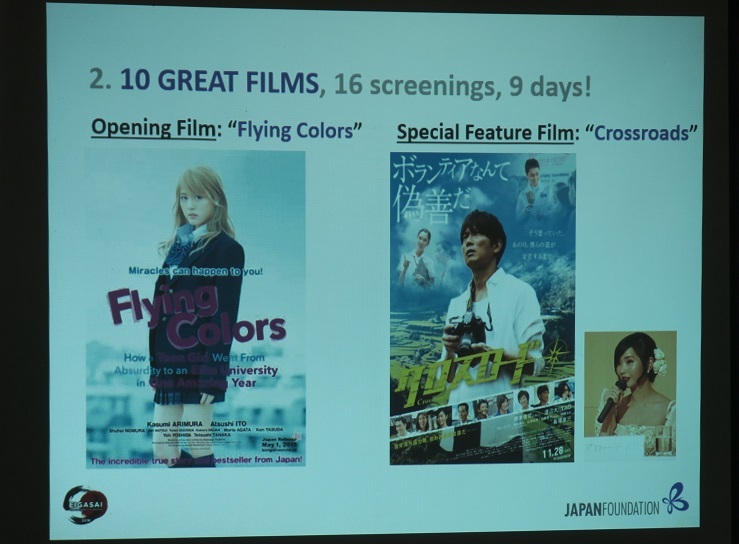 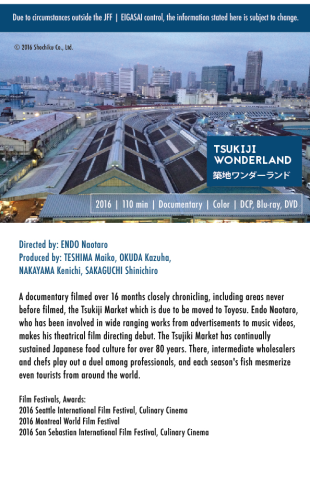 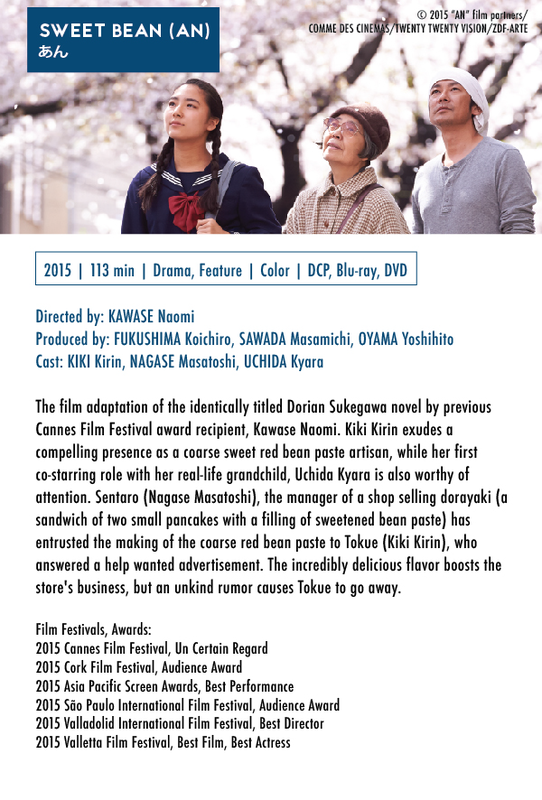 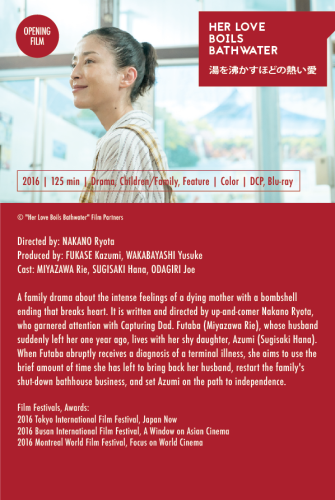 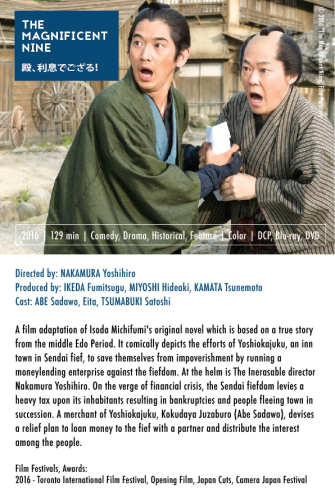 FREE ADMISSION FOR 10 JAPANESE FILMS !